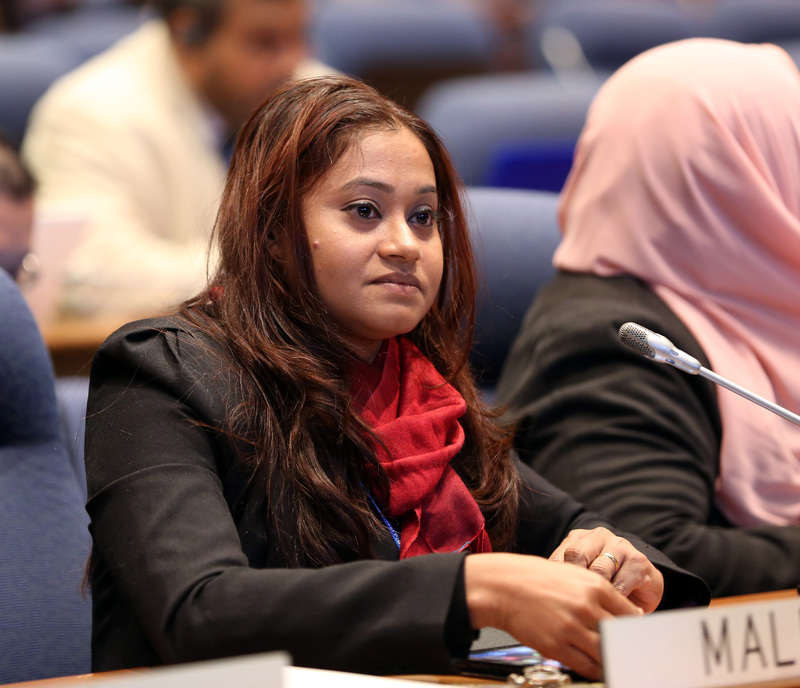 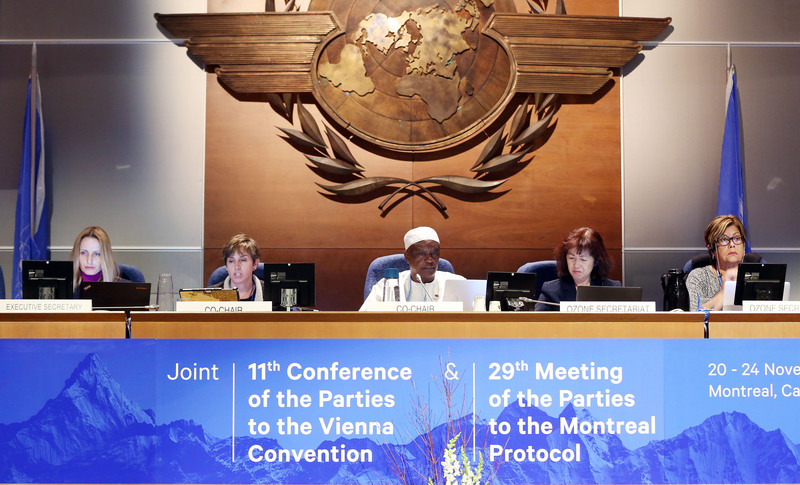 The High-Level Segment (HLS) of the eleventh meeting of the Conference of the Parties to the Vienna Convention (COP 11) and the twenty-ninth Meeting of the Parties to the Montreal Protocol (MOP 29) convened for its final day on Friday, 24 November 2017, in Montreal, Canada. 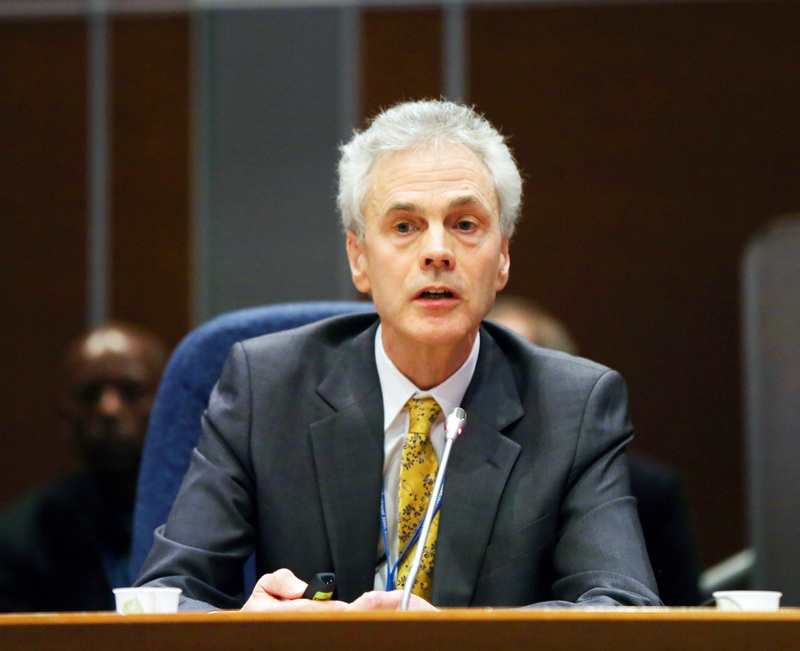 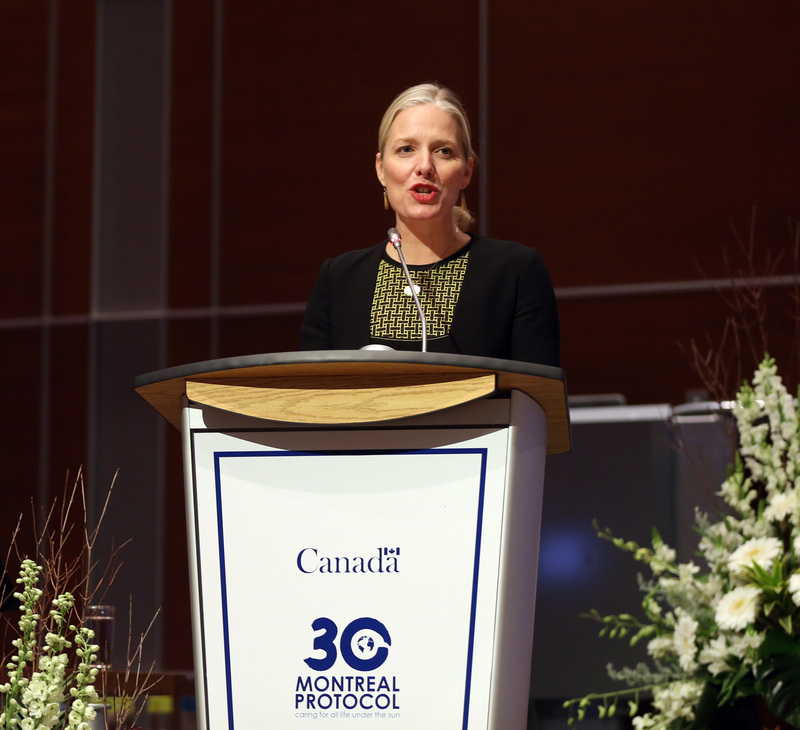 In the morning, plenary heard statements from heads of delegation, and updates from the Scientific Assessment Panel (SAP), Environmental Effects Assessment Panel (EEAP) and the Technology and Economic Assessment Panel (TEAP). 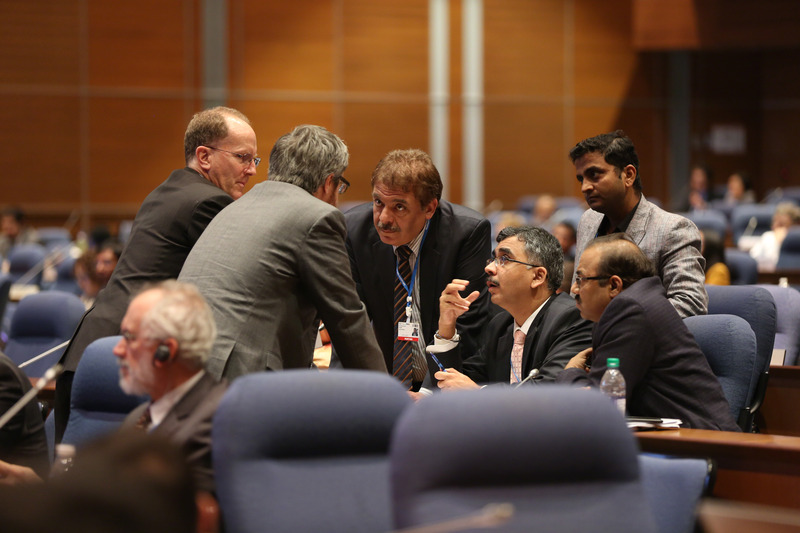 Plenary then adjourned for contact groups and informal discussions to continue their deliberations. The HLS plenary reconvened in the early evening to continue hearing statements from heads of delegation. 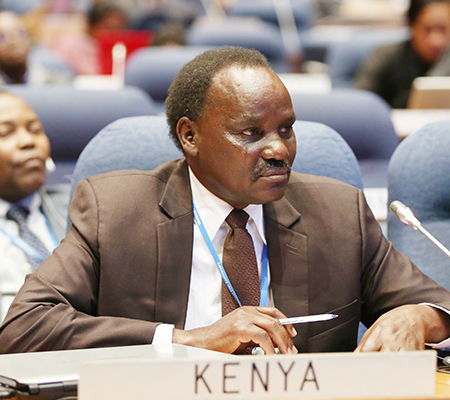 The Preparatory Segment then reconvened for a stocktaking session and to close agenda items where possible. 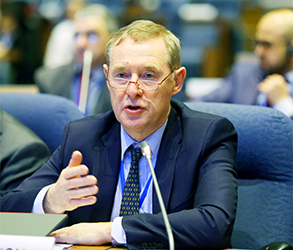 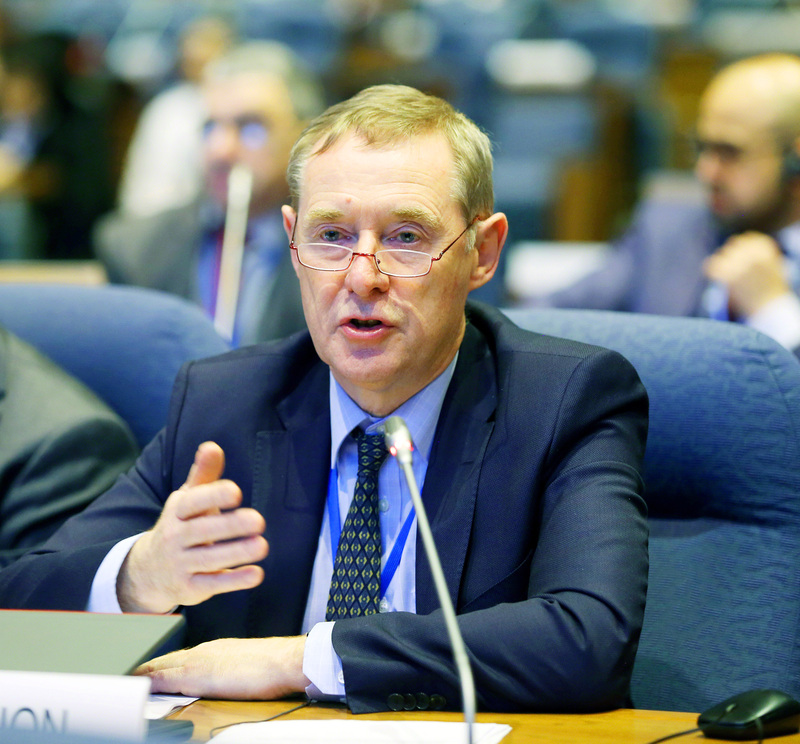 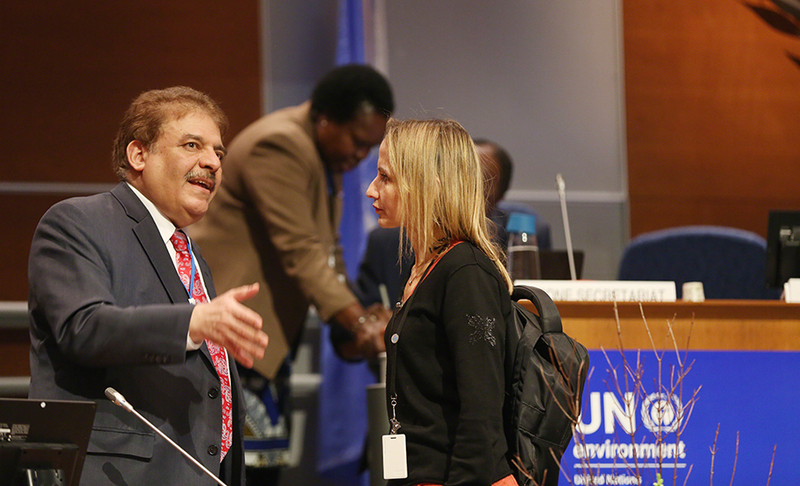 The Contact Groups on the Multilateral Fund (MLF) Replenishment and Energy Efficiency continue to meet in parallel. 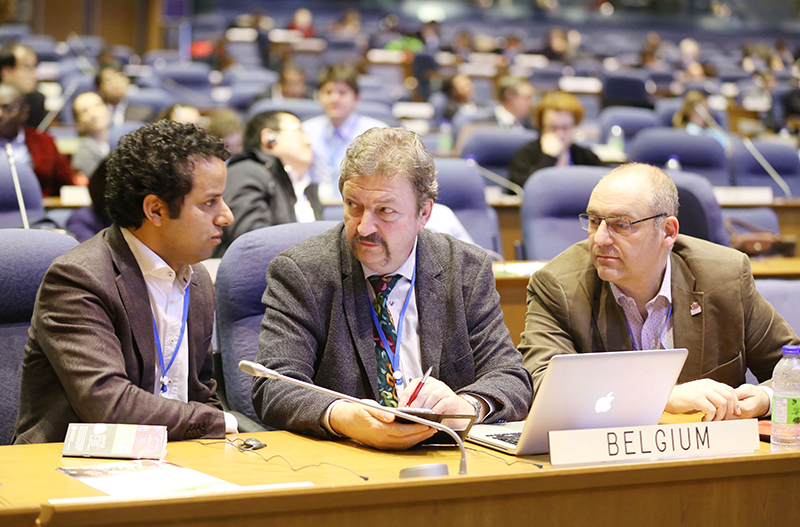 IISD Reporting Services, through its Earth Negotiations Bulletin (ENB) Meeting Coverage, has provided daily web coverage, daily reports, and a summary and analysis report from COP 11/MOP 29. 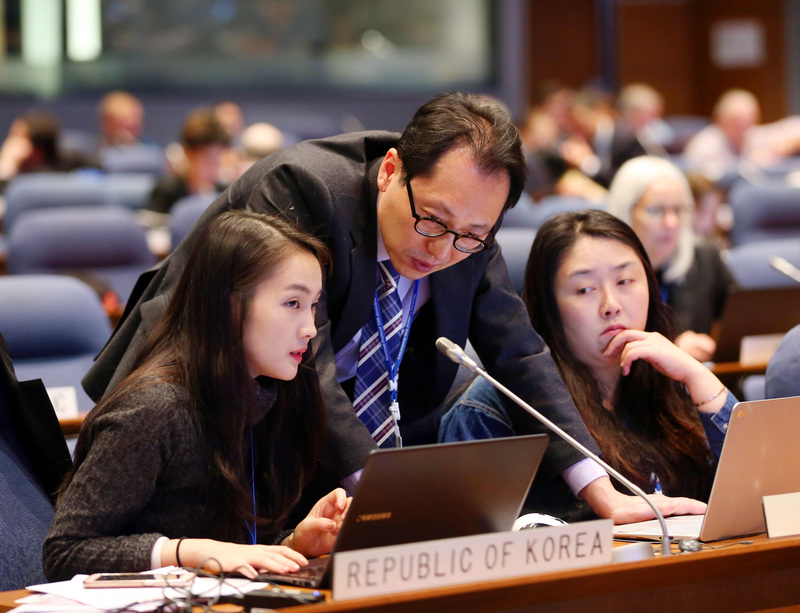 The summary and analysis report is available in HTML and PDF. 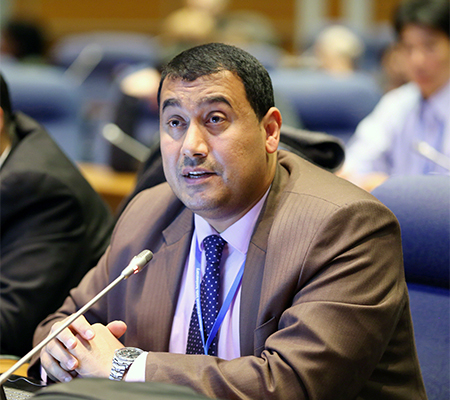 Yaqoub Almatouq, Kuwait, MOP 29 President with Marc D'Iorio, Canada, COP 11 President, gaveled the meeting to a close at 1:47 am. 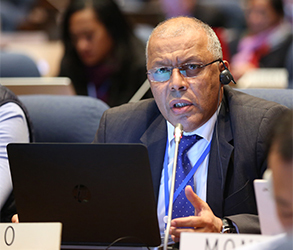 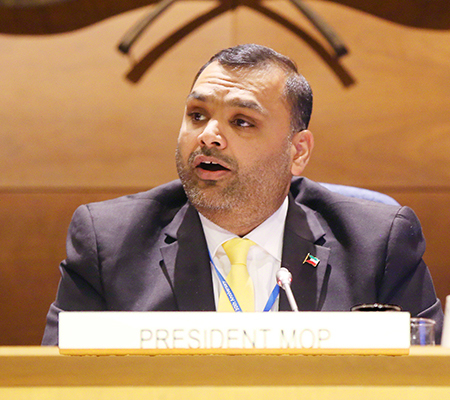 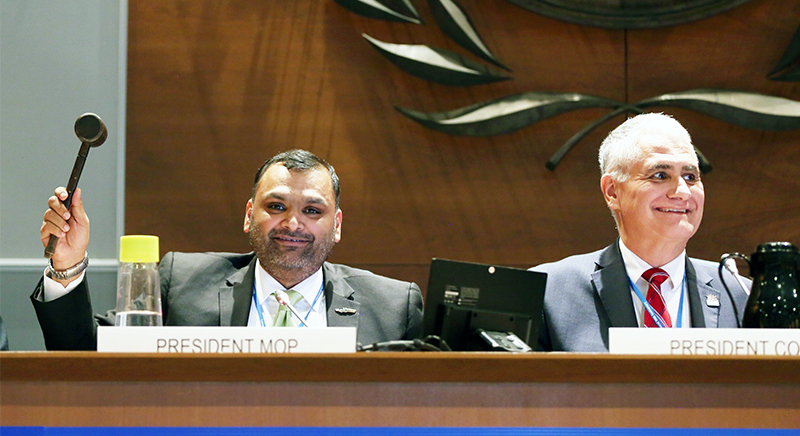 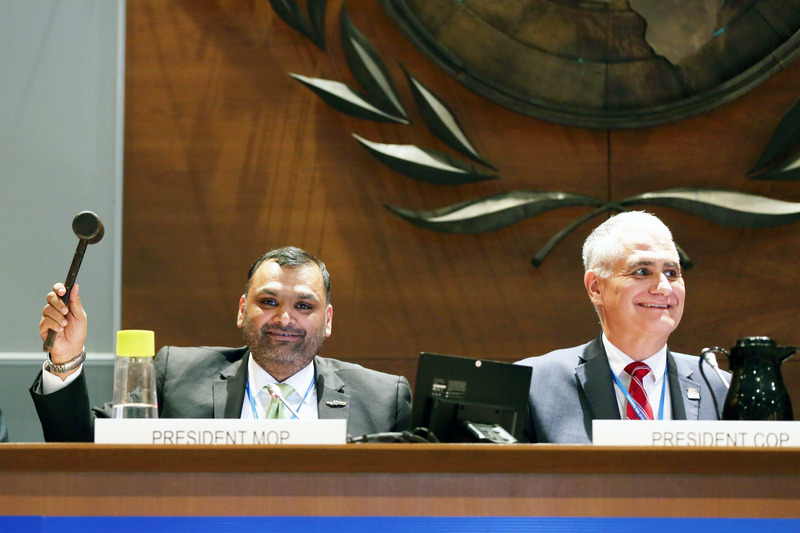 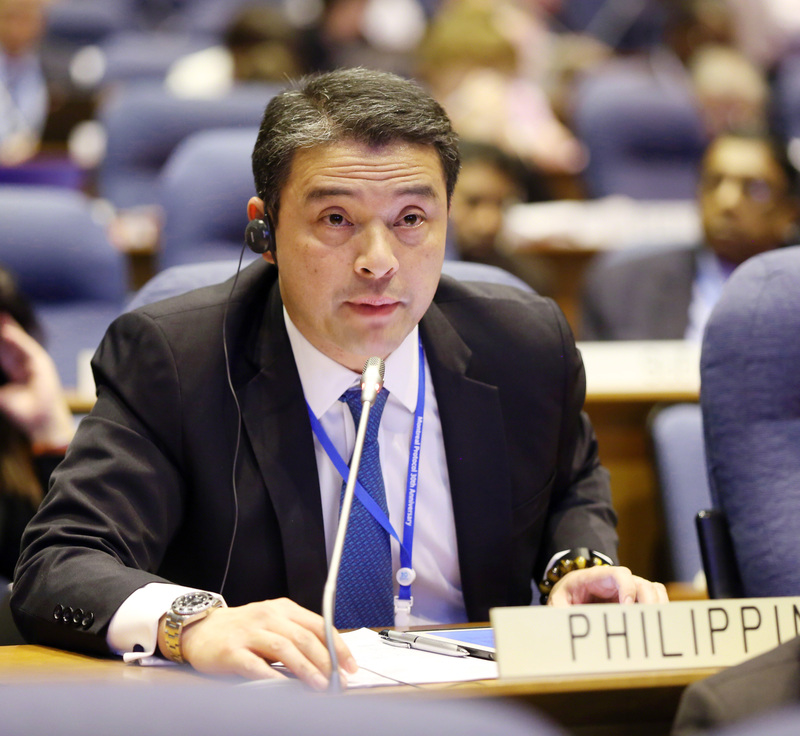 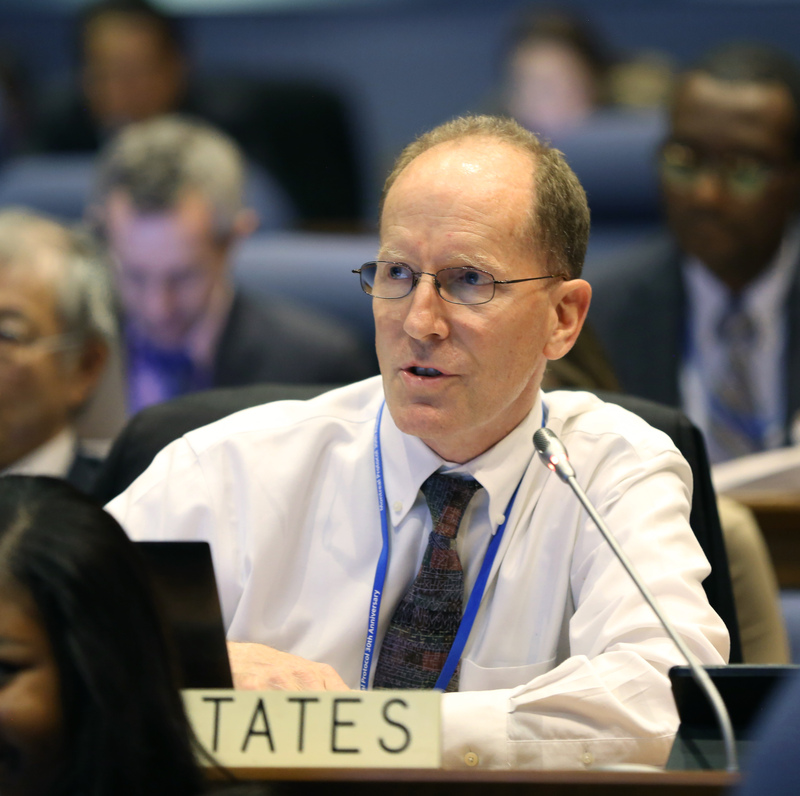 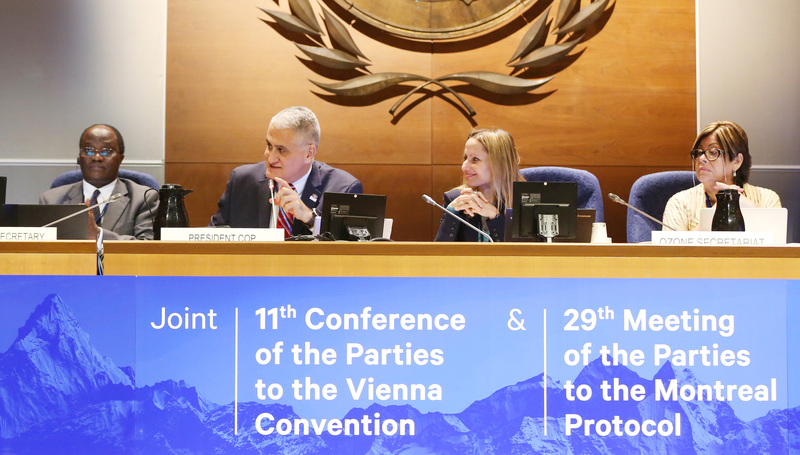 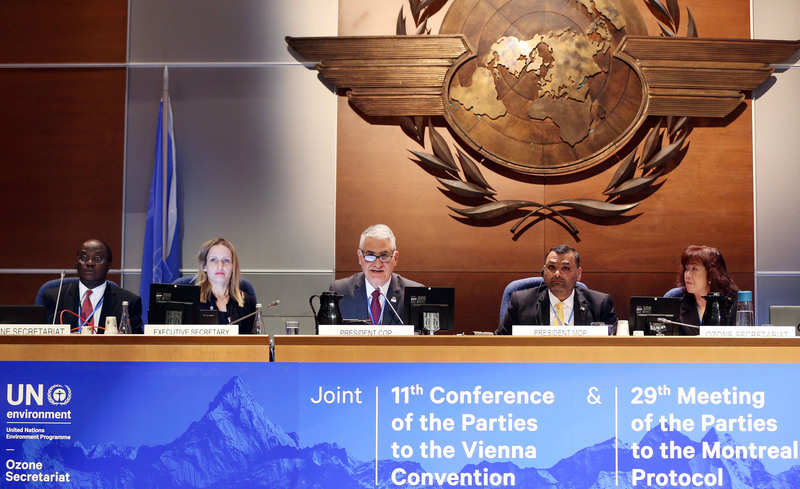 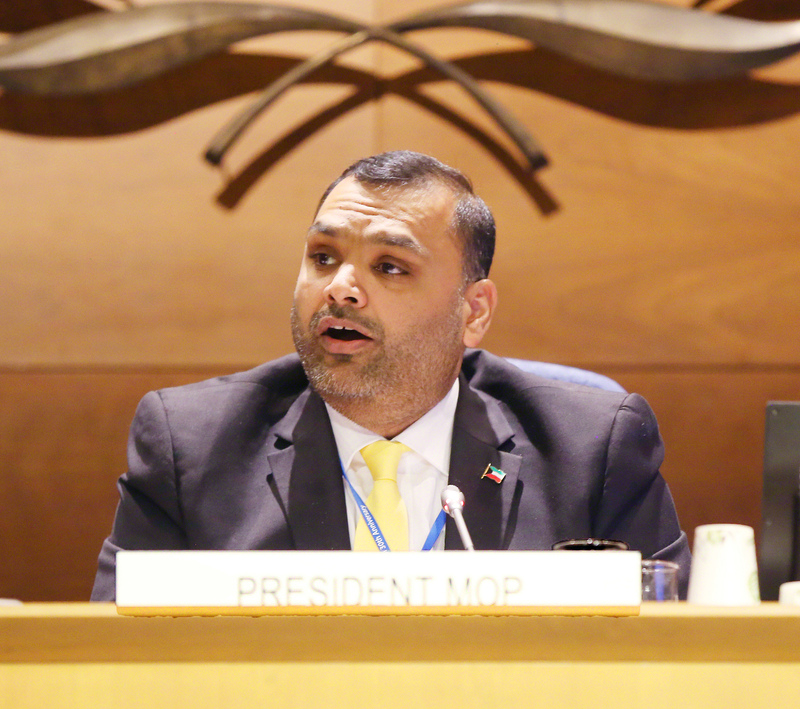 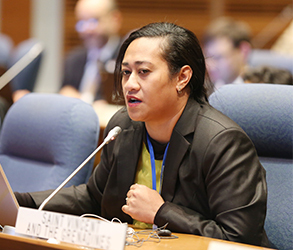 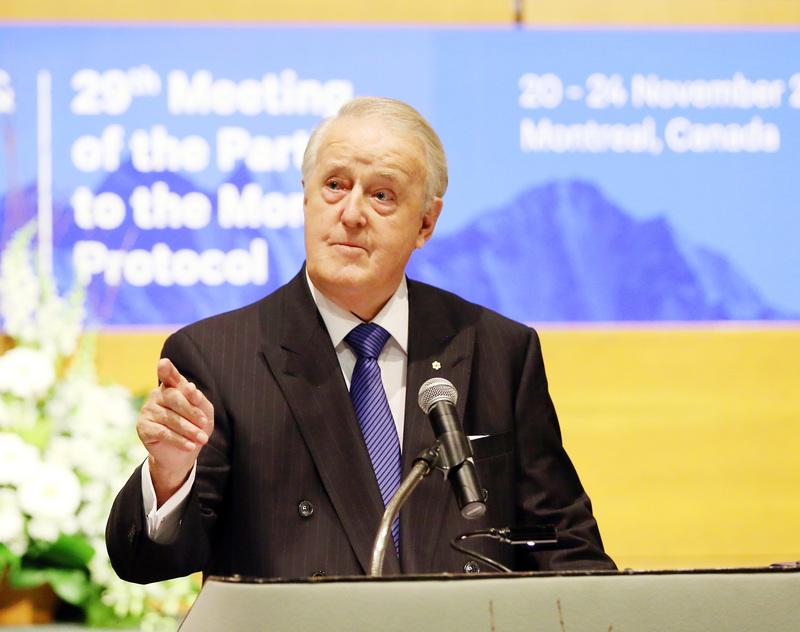 The High-Level Segment (HLS) of the twenty-ninth Meeting of the Parties to the Montreal Protocol (MOP 29) and the eleventh meeting of the Conference of the Parties to the Vienna Convention (COP 11) opened on Thursday, 23 November 2017, in Montreal, Canada. 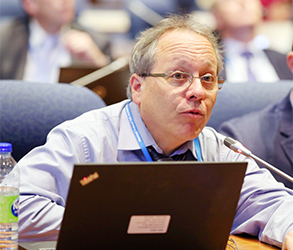 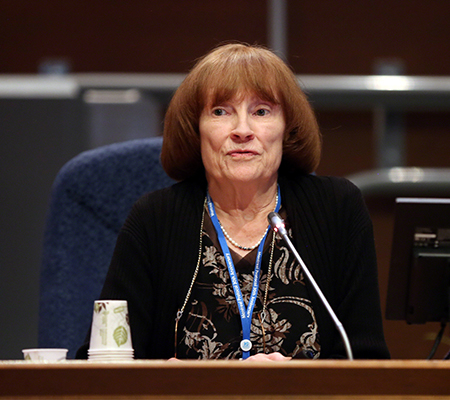 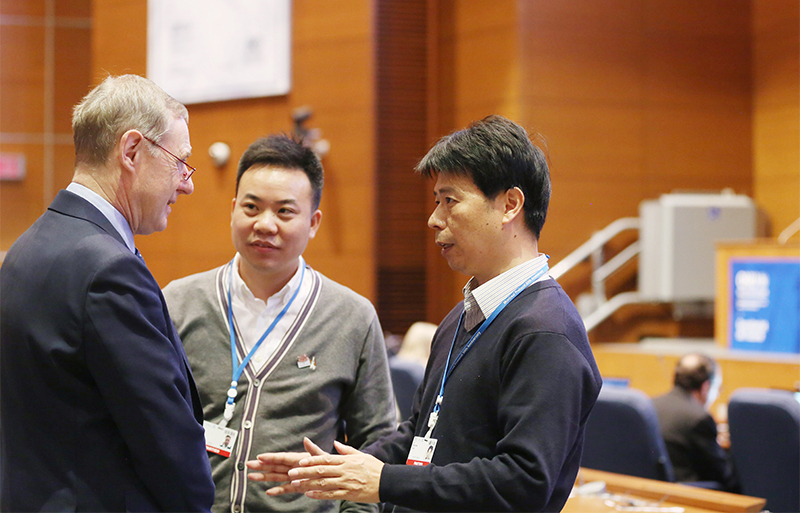 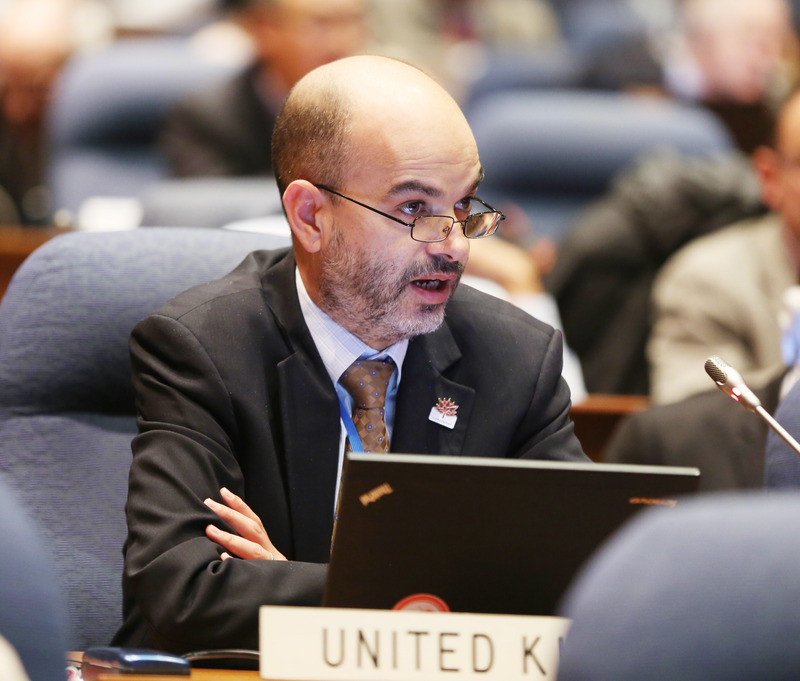 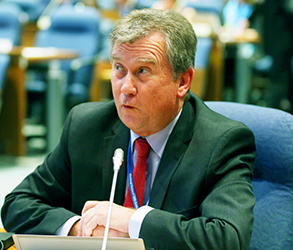 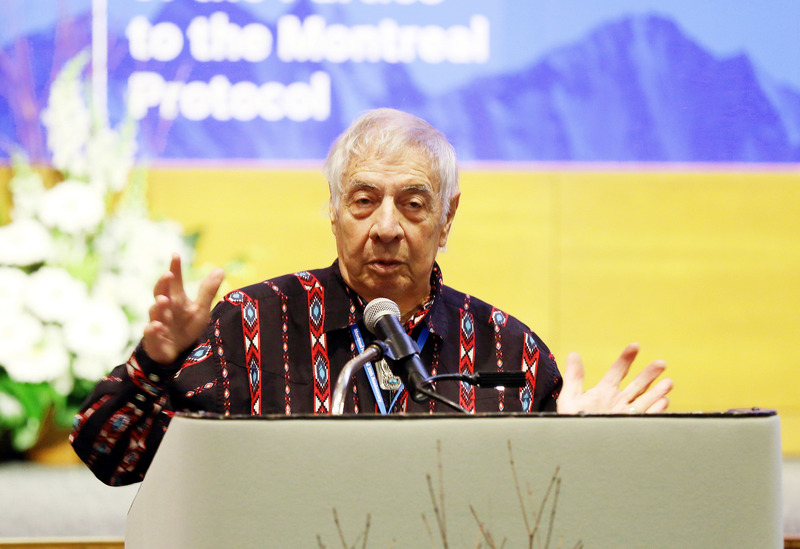 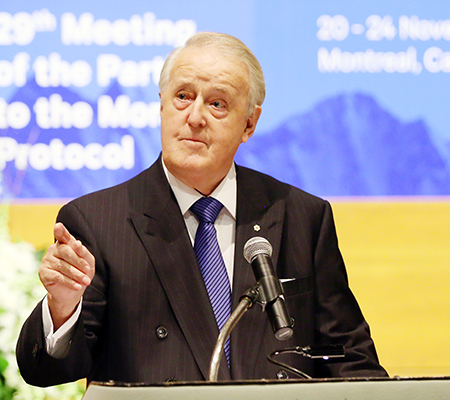 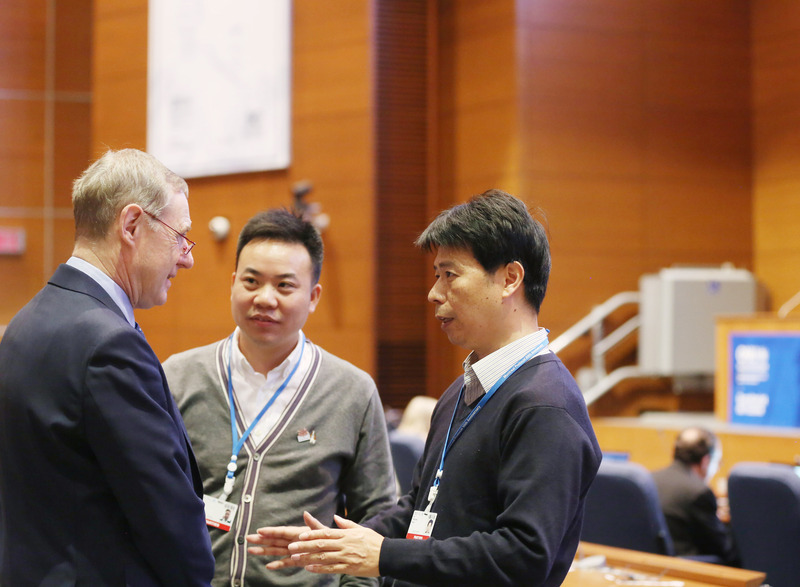 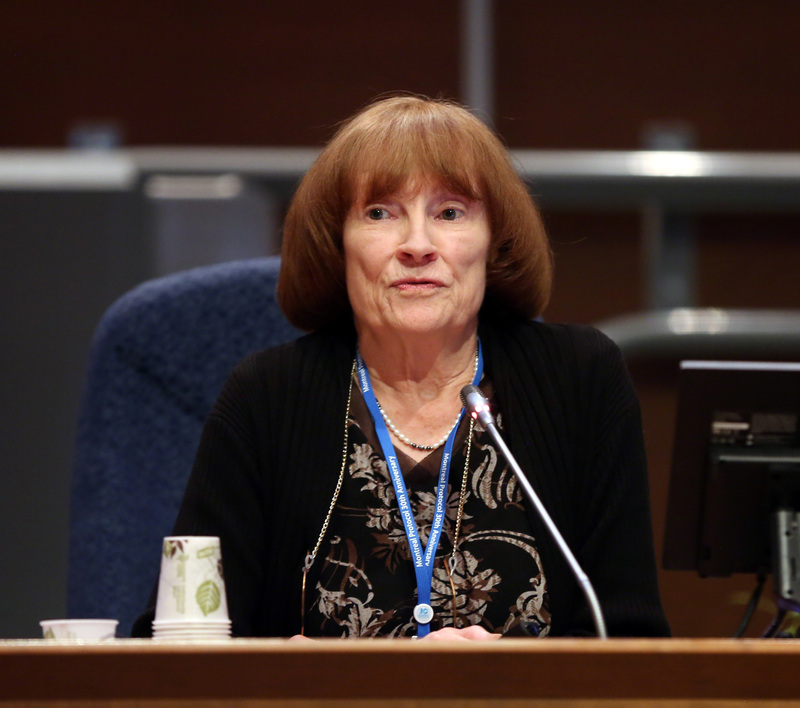 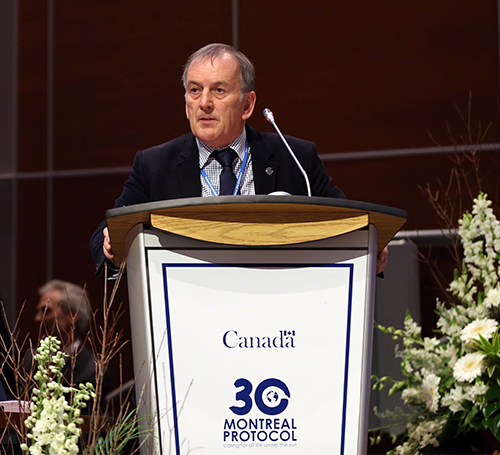 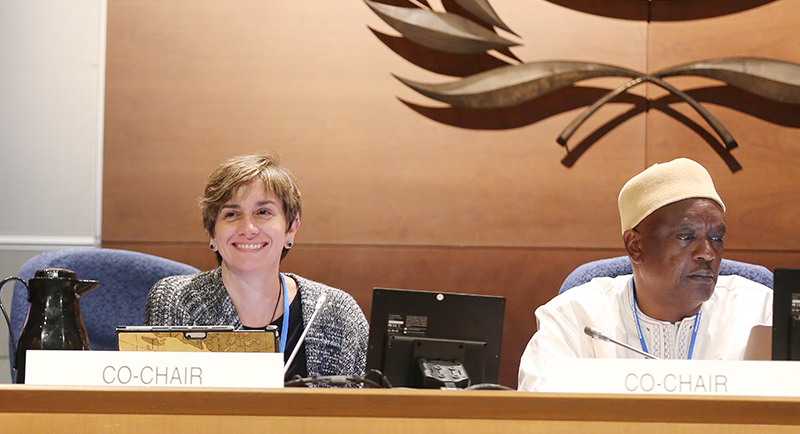 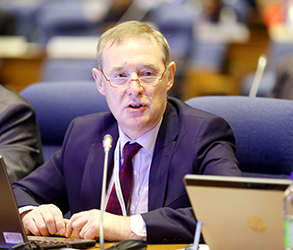 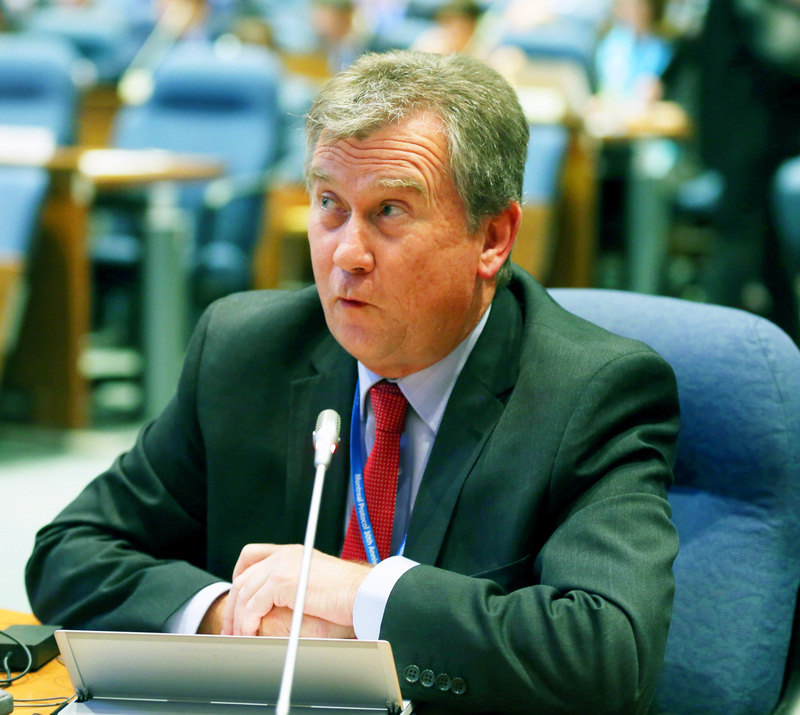 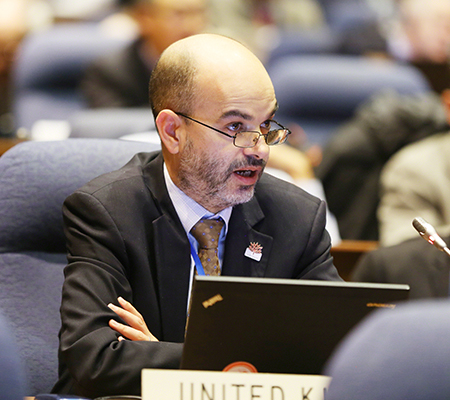 Plenary reconvened in the afternoon and delegates took part in a science panel entitled “The Scientific Foundation of the Montreal Protocol: Past, Present and Future.” They then heard statements from heads of delegation. 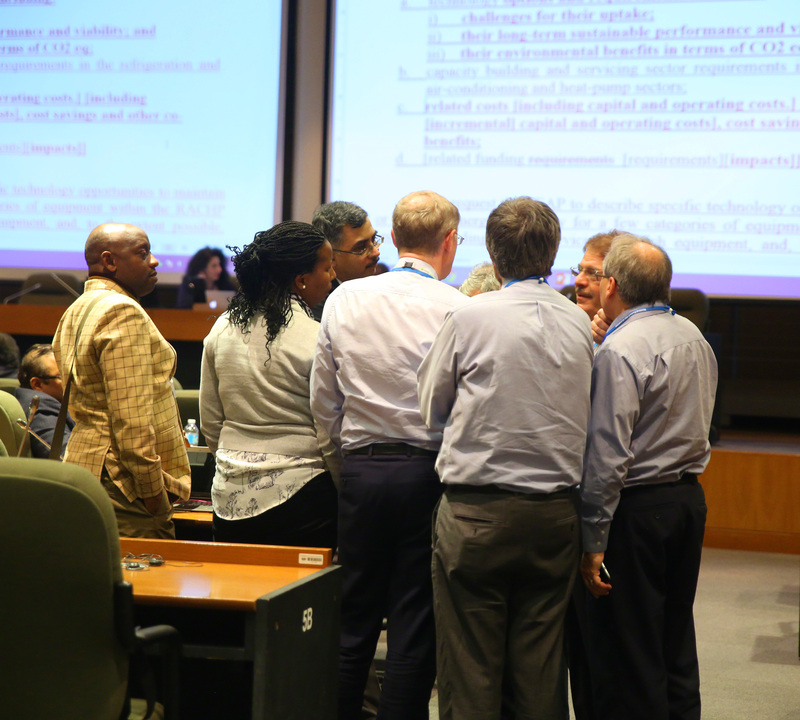 The Budget Committee, the contact groups on data reporting, energy efficiency, and the Multilateral Fund (MLF) Replenishment, as well as the informal discussions on safety standards and hydrofluorocarbons (HFCs) not listed in Annex F met during the course of the day. 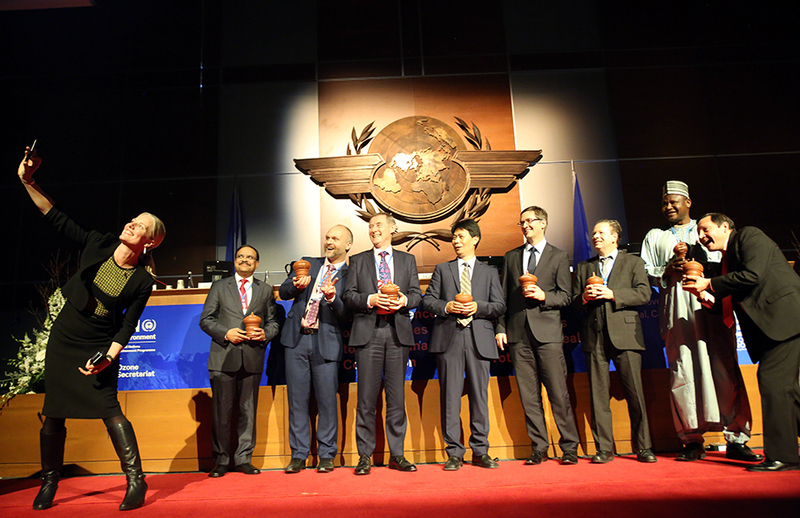 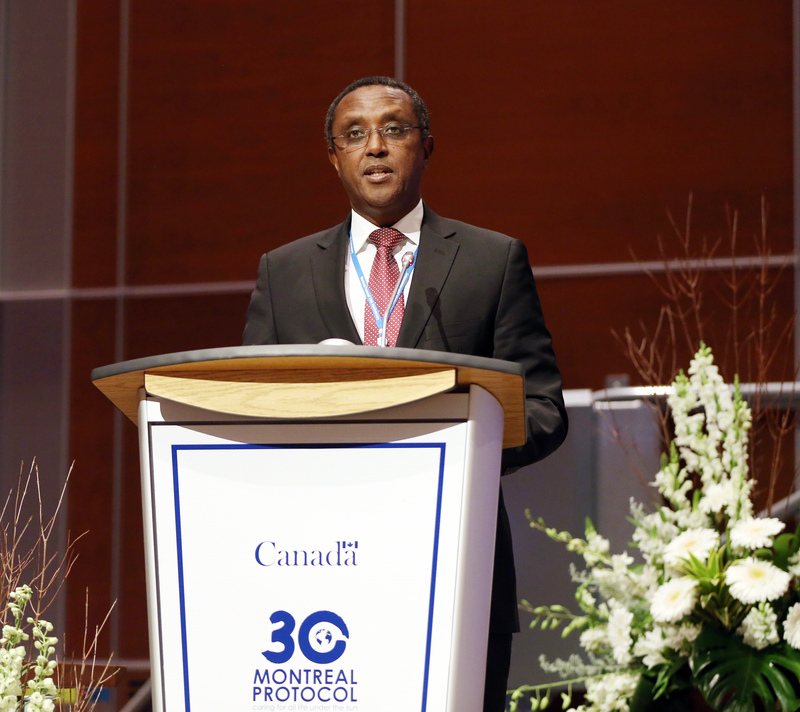 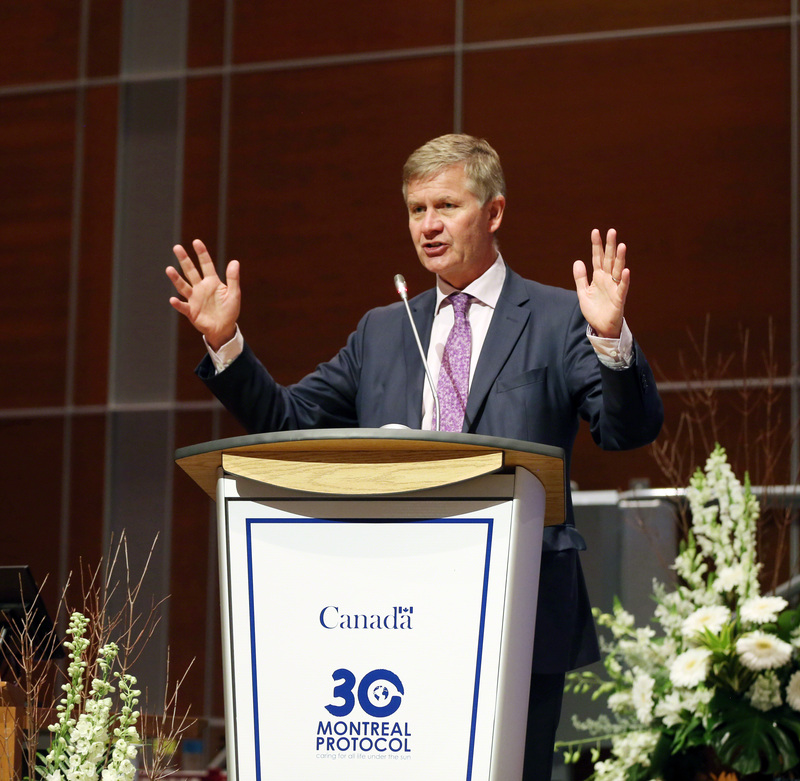 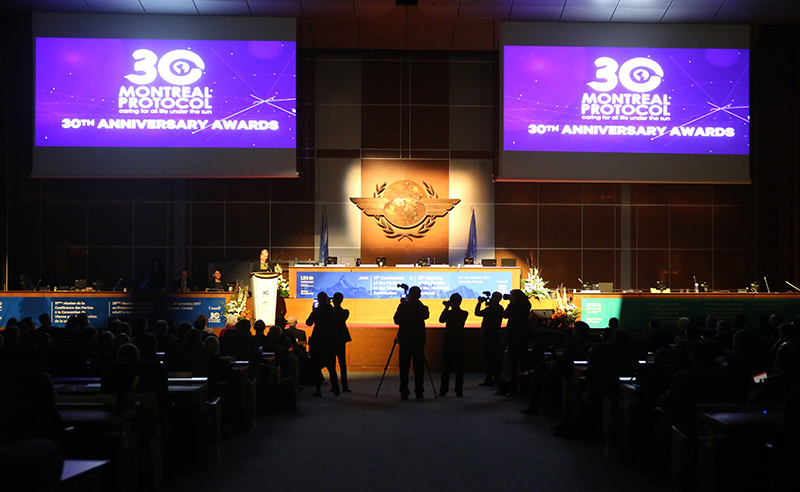 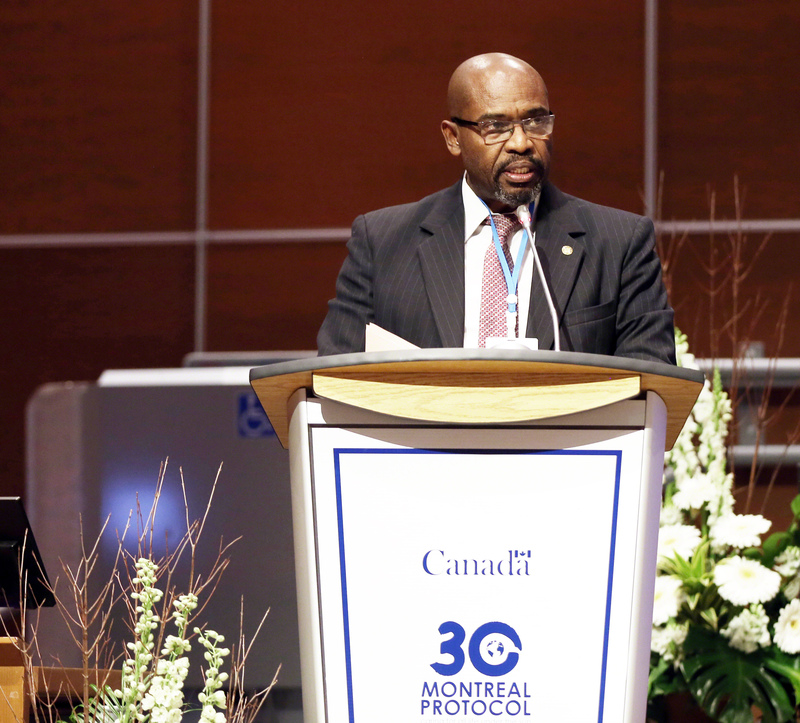 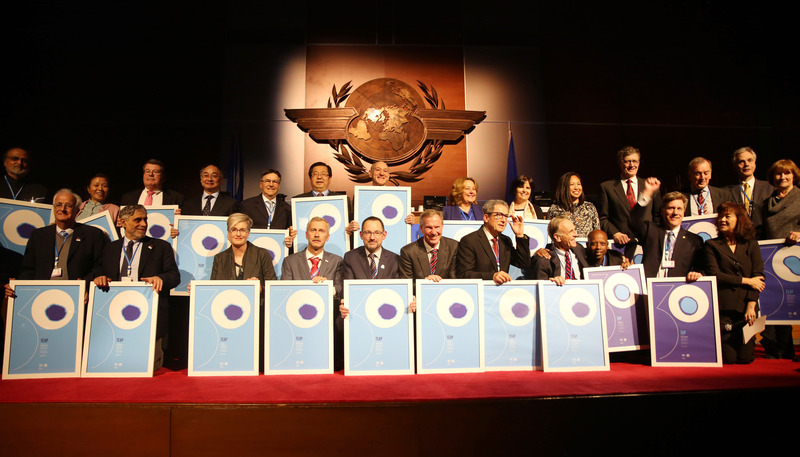 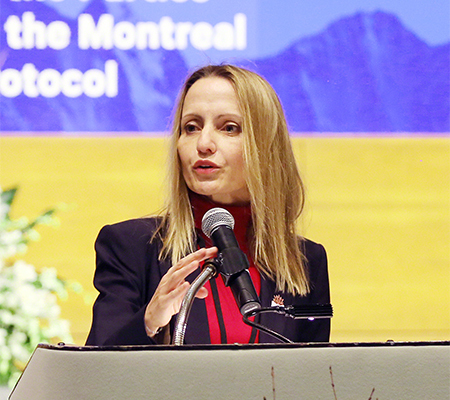 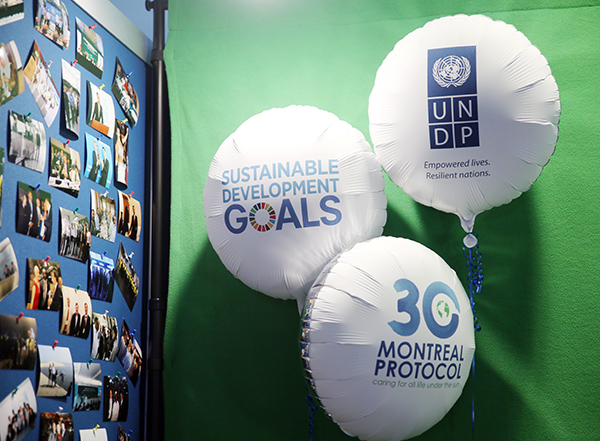 In the evening, delegates were invited to attend the Ozone Awards Ceremony, honoring those who have demonstrated extraordinary commitment and contribution to the progress and achievements of the Montreal Protocol over the past 10 years. 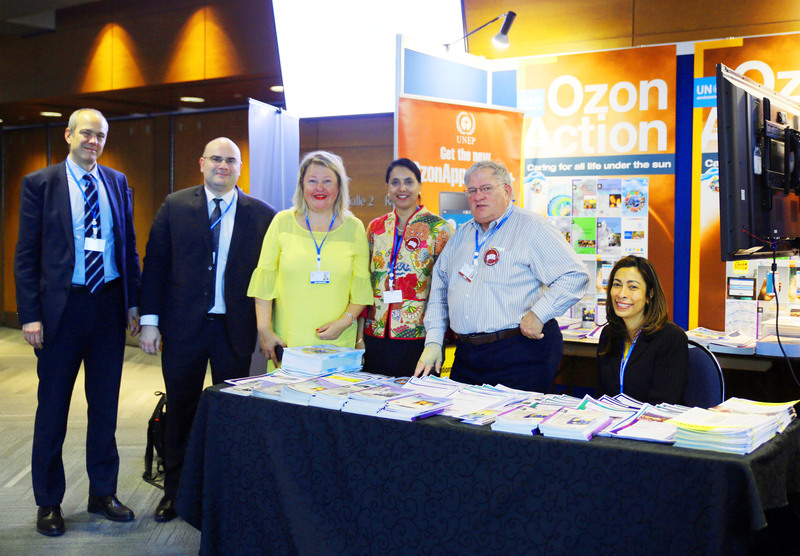 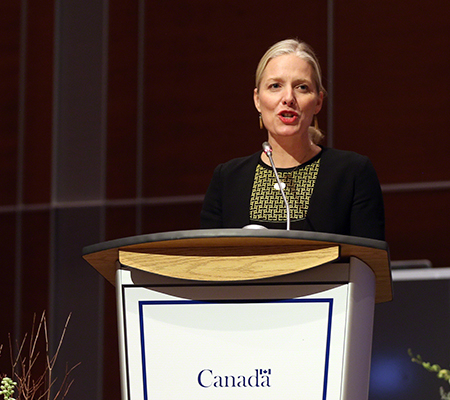 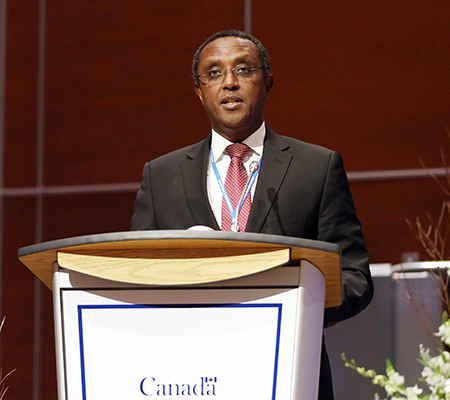 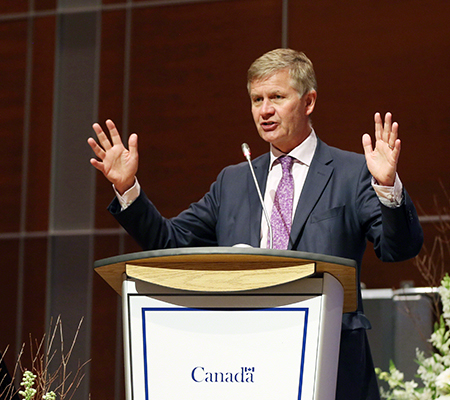 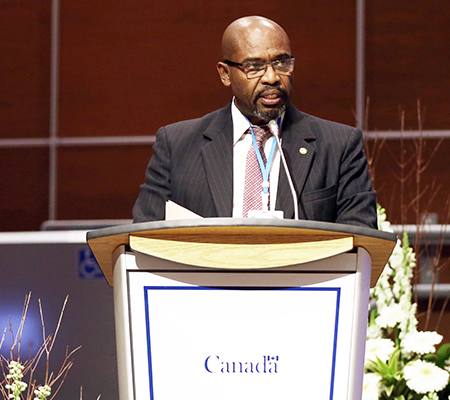 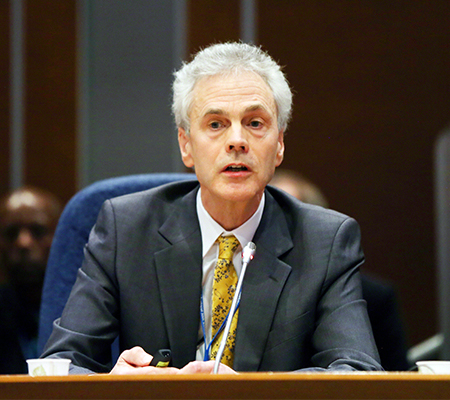 A reception, hosted by the Government of Canada and the Ozone Secretariat, was held thereafter. 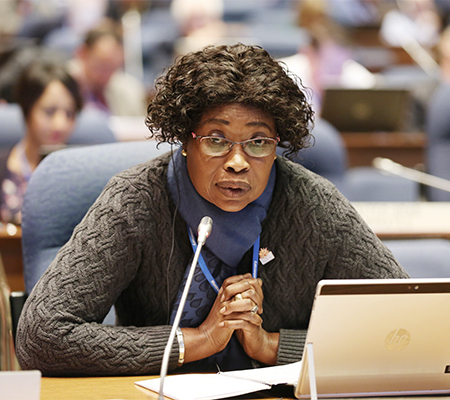 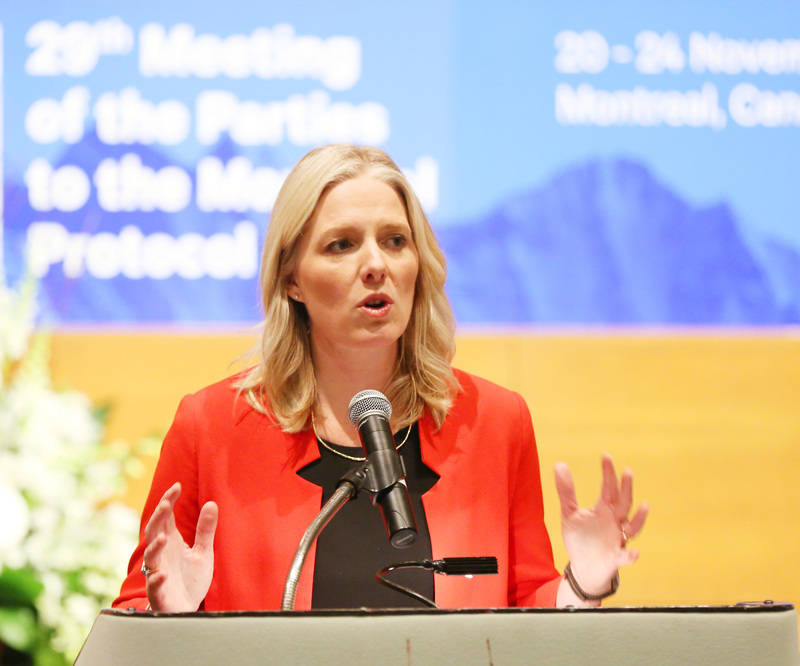 The preparatory segment of the eleventh meeting of the Conference of the Parties to the Vienna Convention (COP 11) and the twenty-ninth Meeting of the Parties to the Montreal Protocol (MOP 29) convened for its third day on Wednesday, 22 November 2017, in Montreal, Canada. 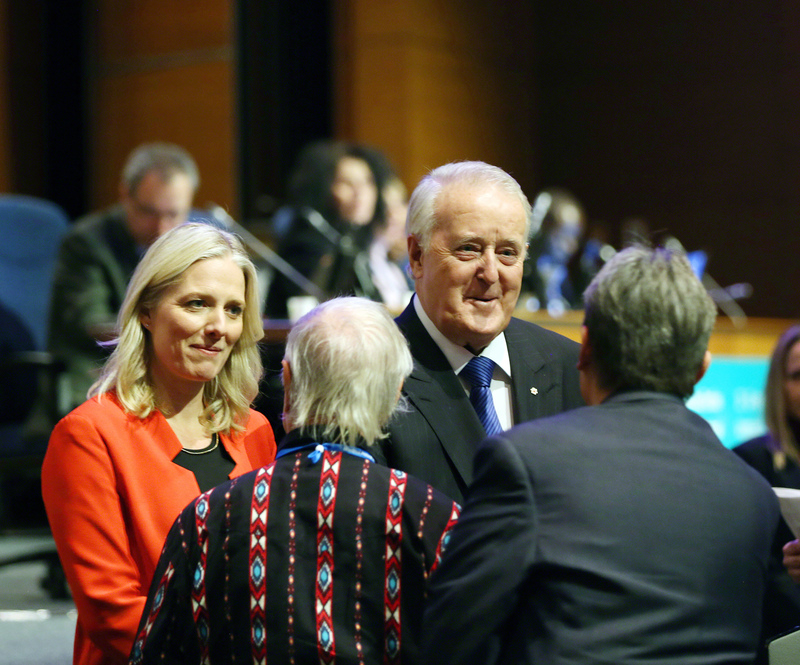 In the morning, delegates convened for a short plenary session to hear reports from contact groups and informal consultations, and updates on outstanding agenda items. 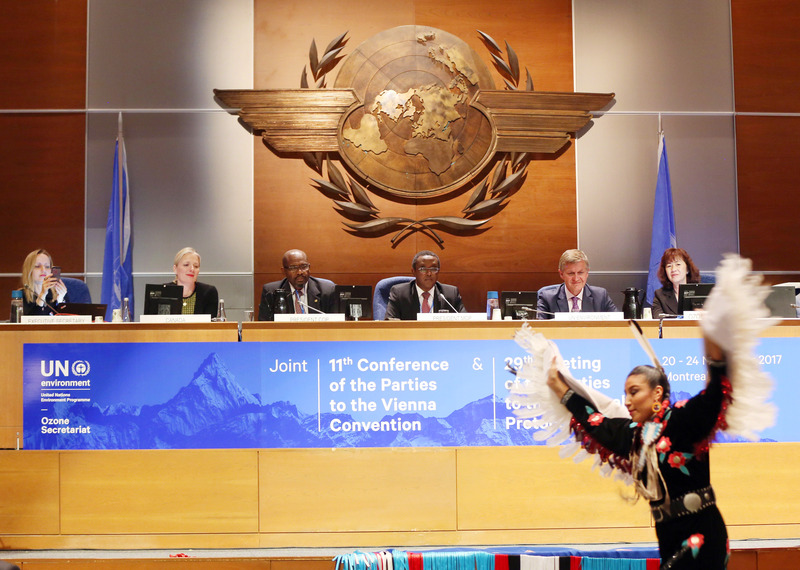 Plenary was then suspended. 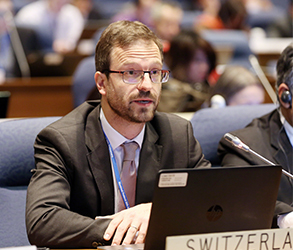 The contact group on the Multilateral Fund (MLF) Replenishment, and consultations on hydrofluorocarbons (HFCs) not listed in Annex F met immediately afterwards. 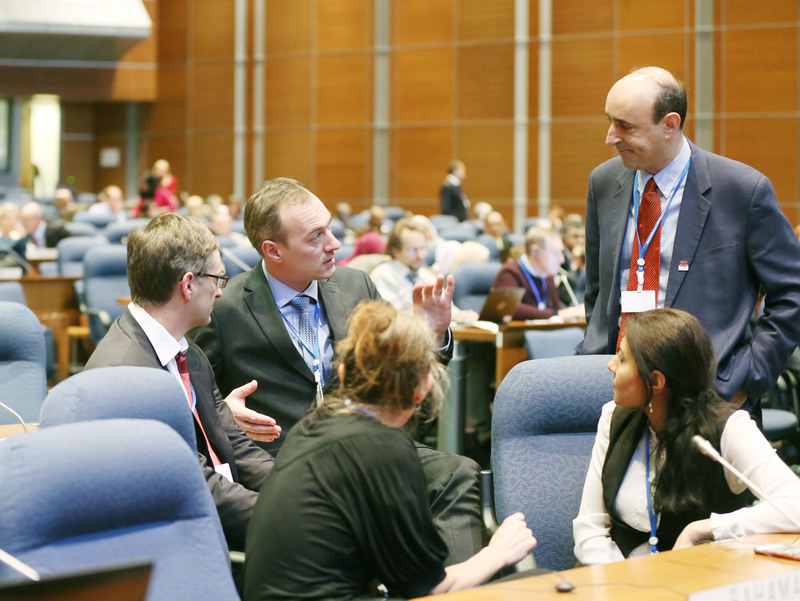 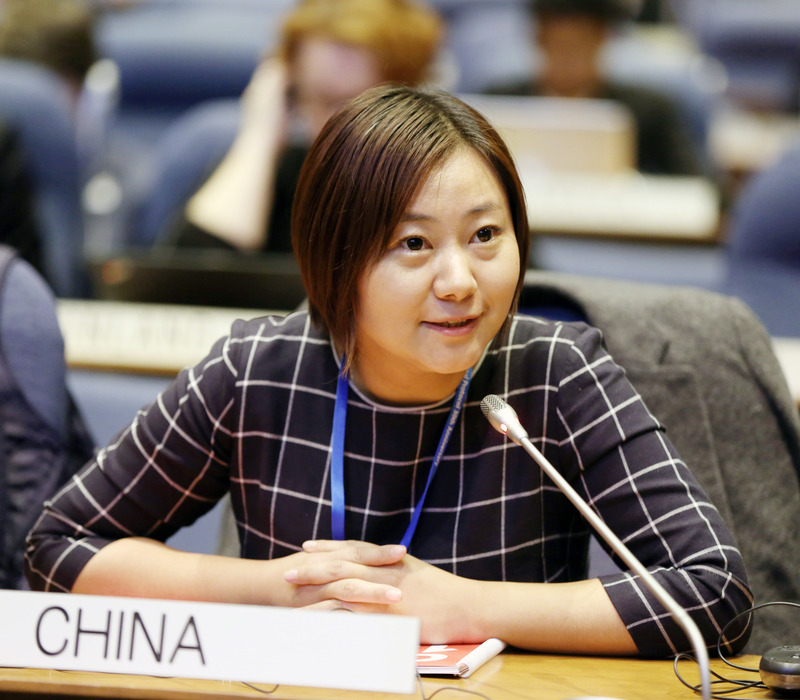 In the afternoon, delegates continued their contact group and informal discussions on the outstanding agenda items, including on data reporting and destruction, and energy efficiency. 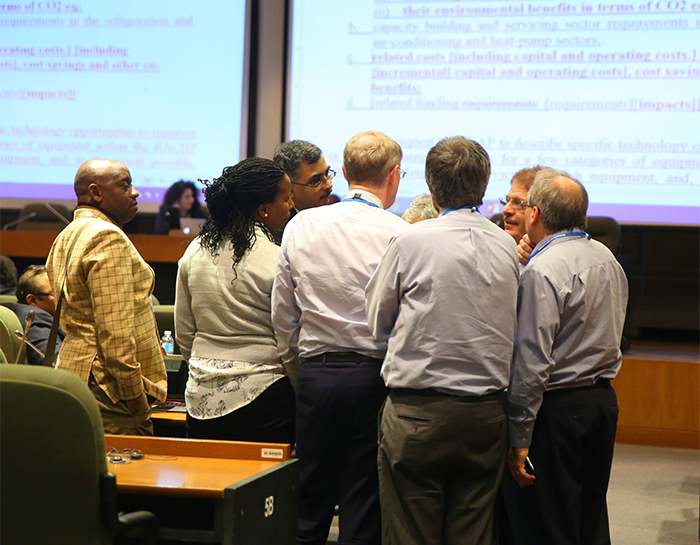 The Budget Committee also met. 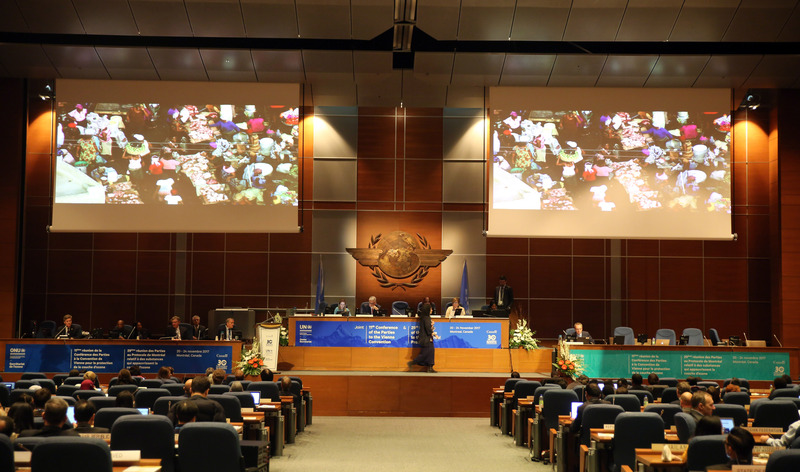 Delegates then reconvened in plenary to hear progress on these discussions and, where possible, forward decisions to the High-Level Segment (HLS). 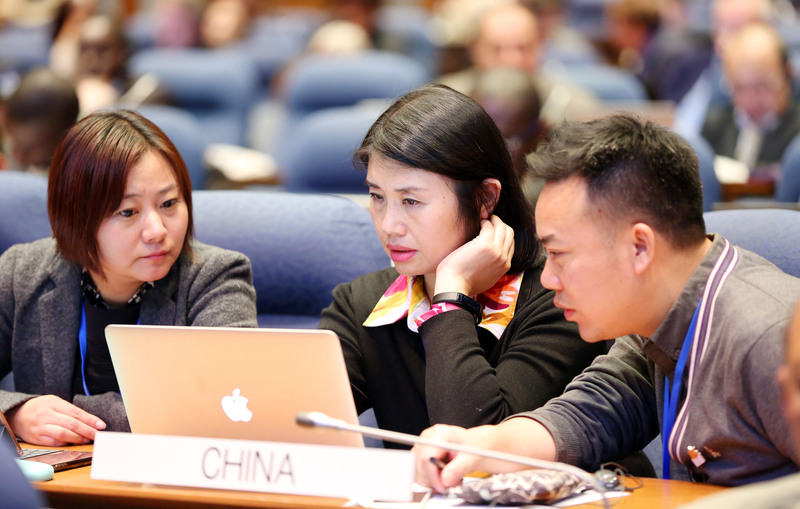 In the evening, the contact groups on data reporting and destruction, MLF replenishment, and the informal consultations on safety standards continued. 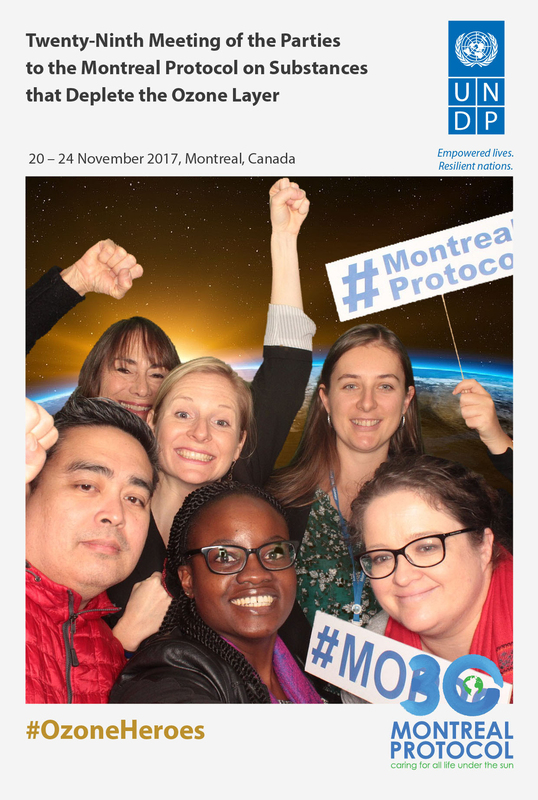 The preparatory segment of the twenty-ninth Meeting of the Parties to the Montreal Protocol (MOP 29) and the eleventh meeting of the Conference of the Parties to the Vienna Convention (COP 11) convened for its second day on Tuesday, 21 November 2017, in Montreal, Canada. 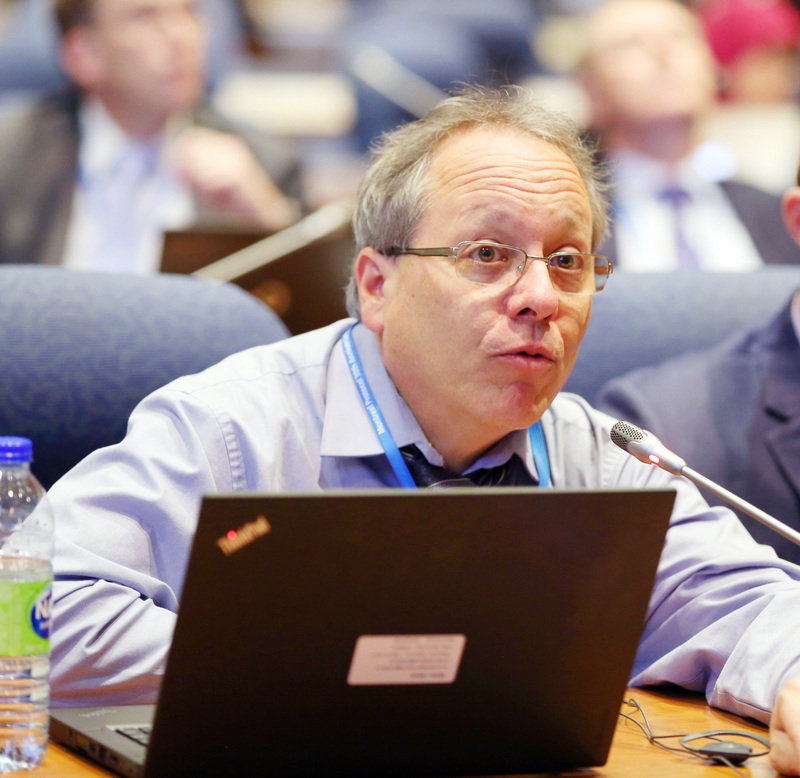 In the morning, delegates discussed, inter alia, energy efficiency; safety standards; HFCs not listed in Annex F to the Protocol; nominations and appointments for membership in various Protocol bodies; and compliance and reporting issues. 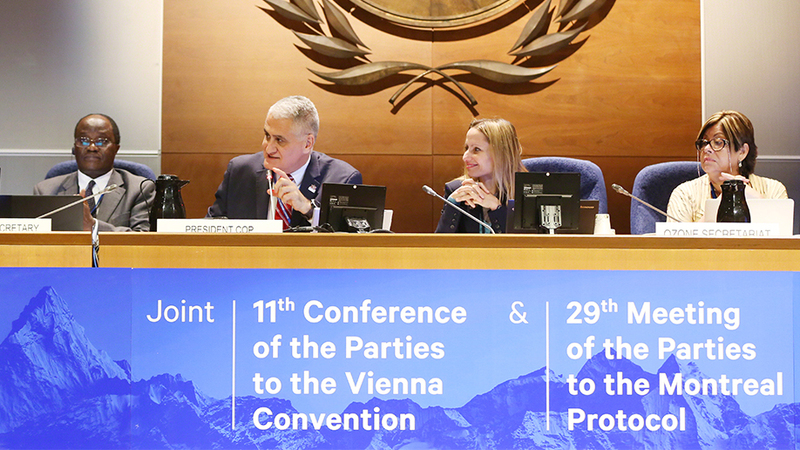 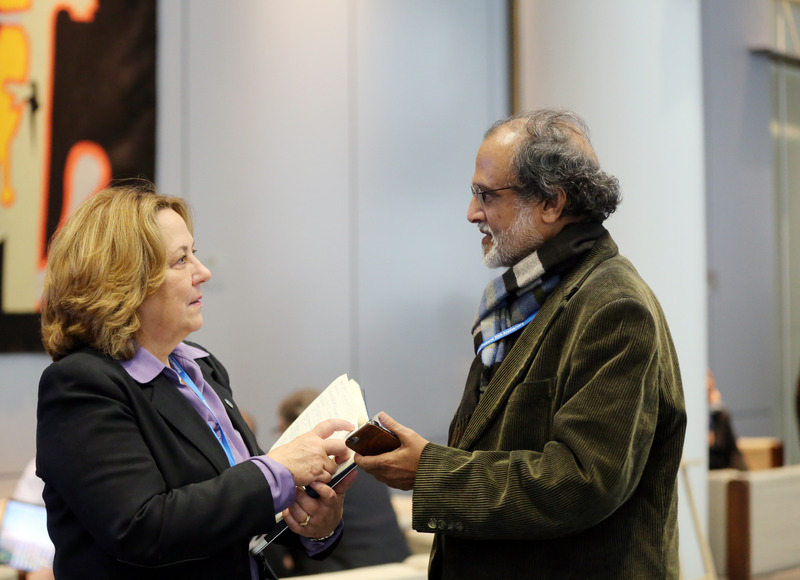 In the afternoon, delegates addressed issues under the Vienna Convention, including the outcomes of the tenth meeting of the Ozone Research Managers (ORM) of the parties to the Vienna Convention, and the status of the Vienna Convention Trust Fund (VCTF). 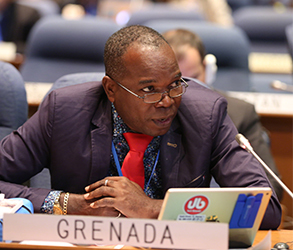 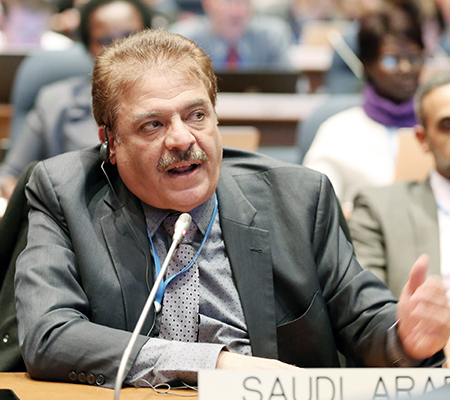 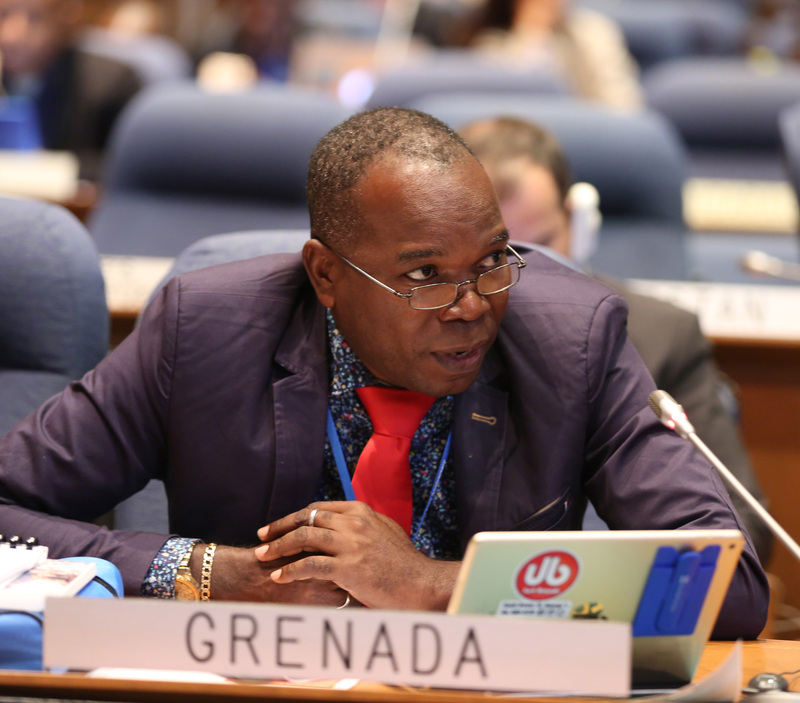 They also considered other matters, including an issue raised by Saudi Arabia on low-global-warming-potential (GWP) technologies for the air conditioning sector, and a concern related to hurricanes impacting Protocol implementation, raised by Grenada. 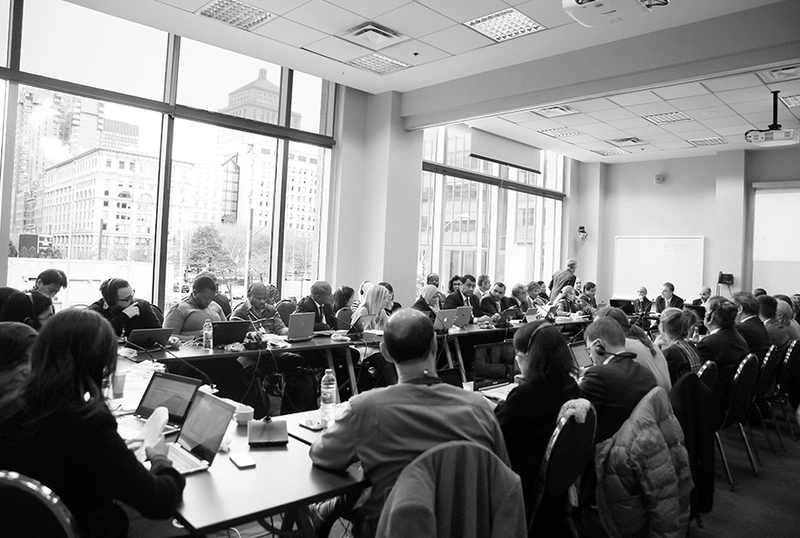 Contact groups on data reporting, replenishment, safety standards, and energy efficiency met at various points throughout the day. 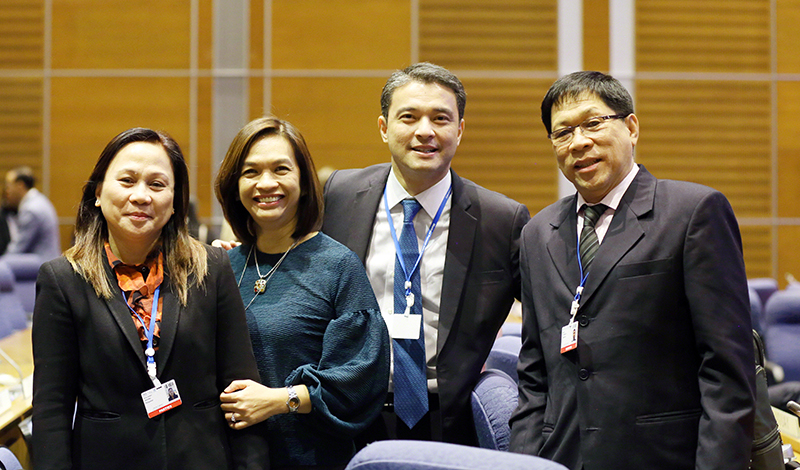 The Budget Committee also met during the lunch break. 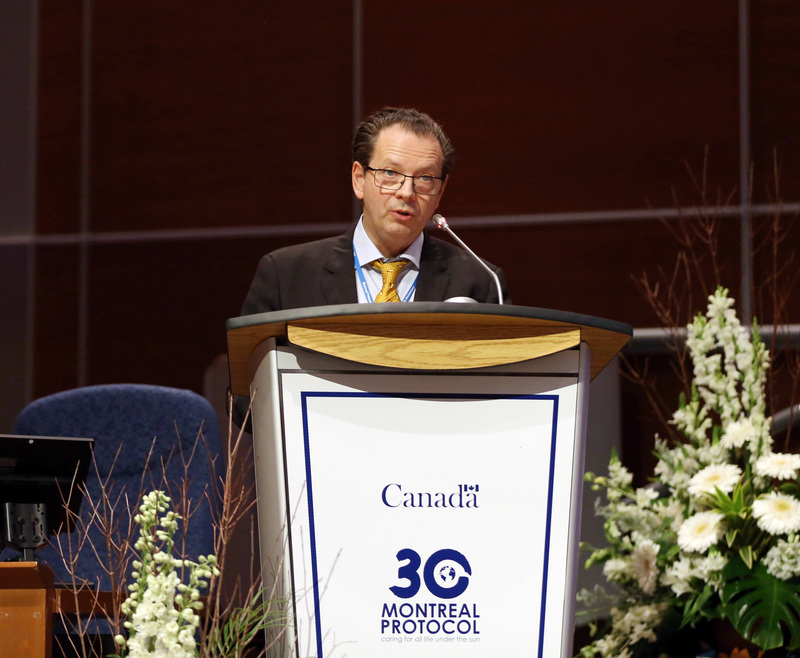 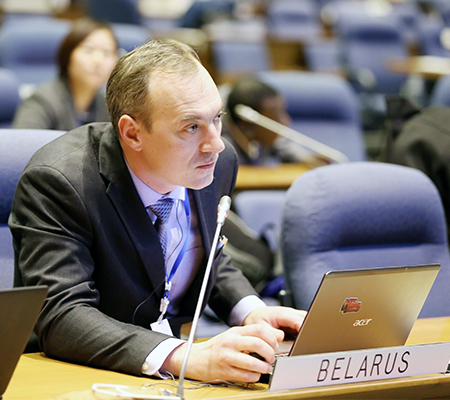 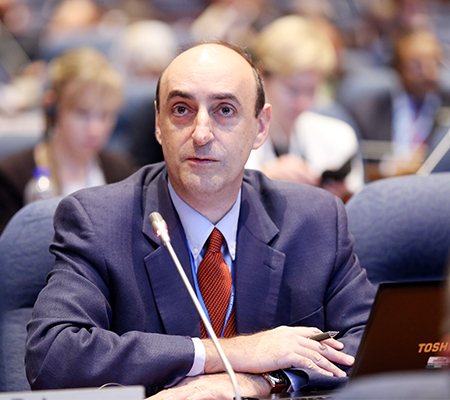 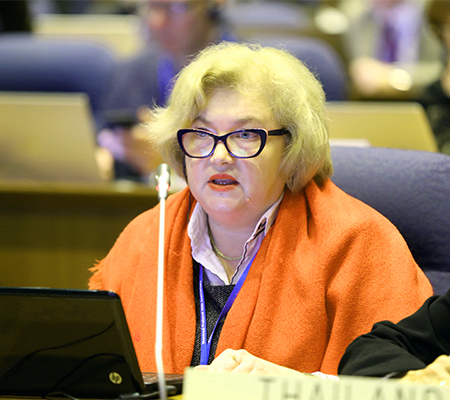 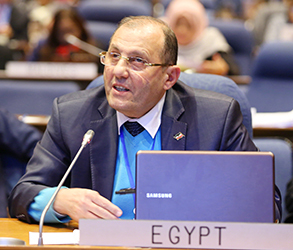 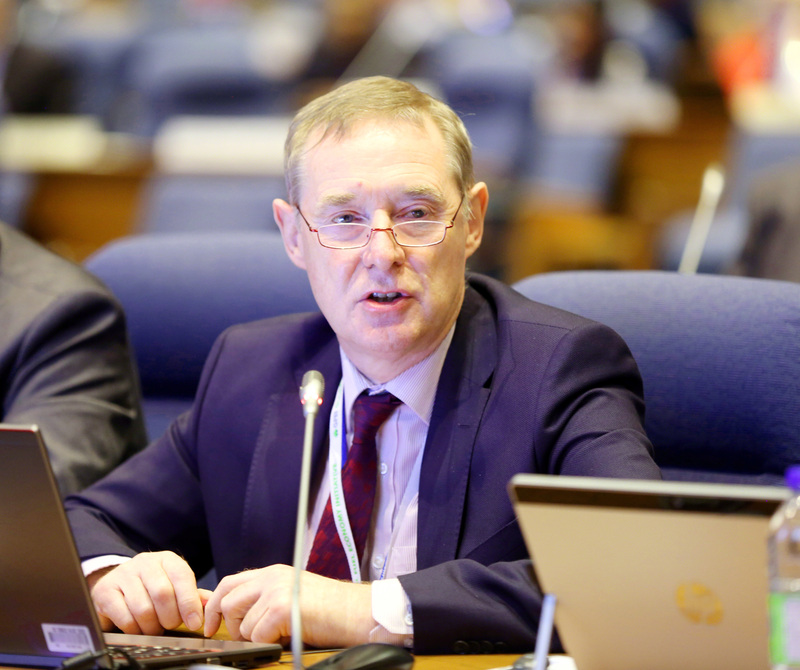 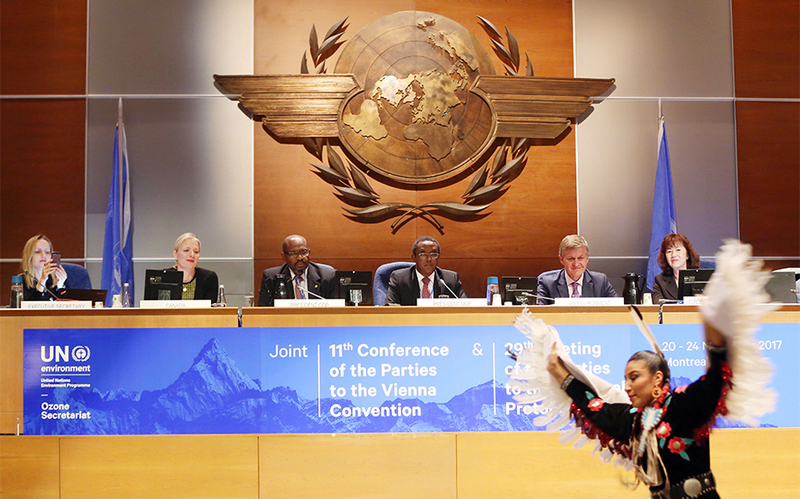 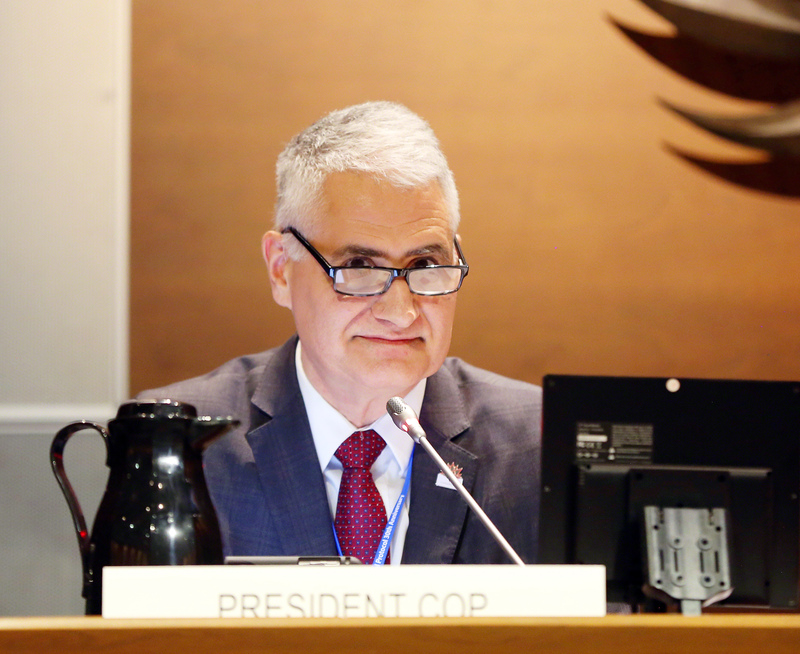 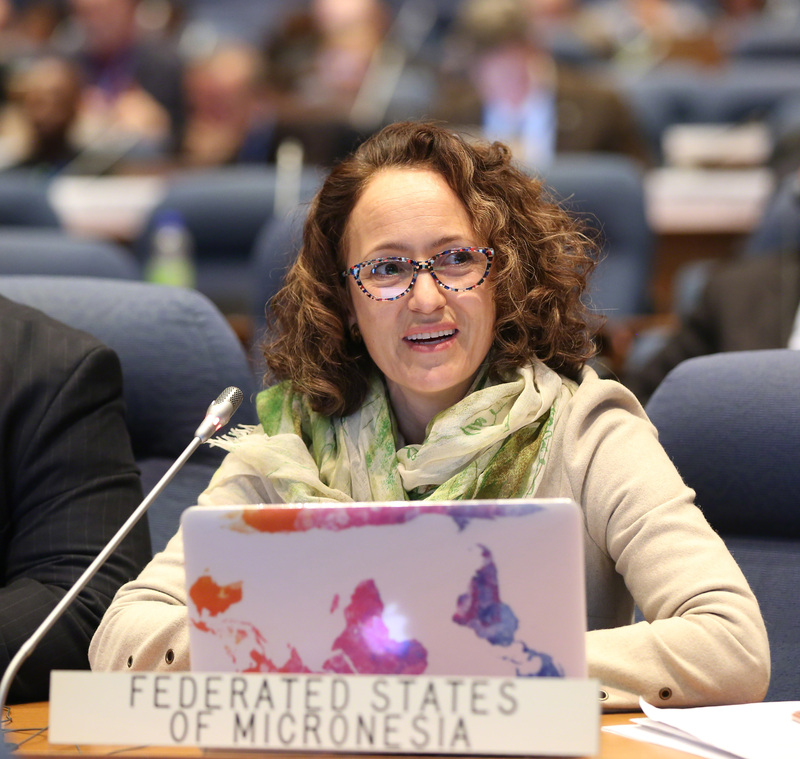 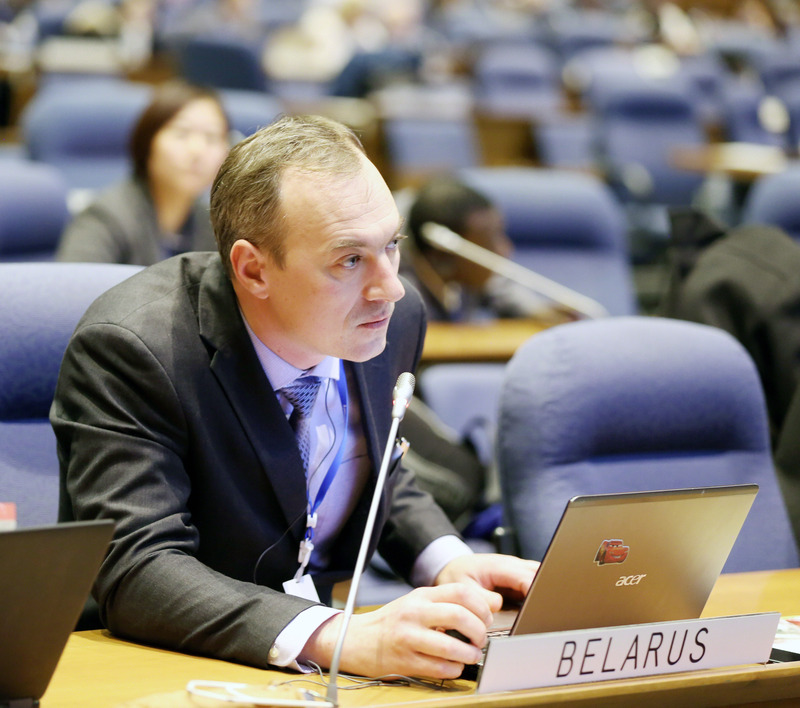 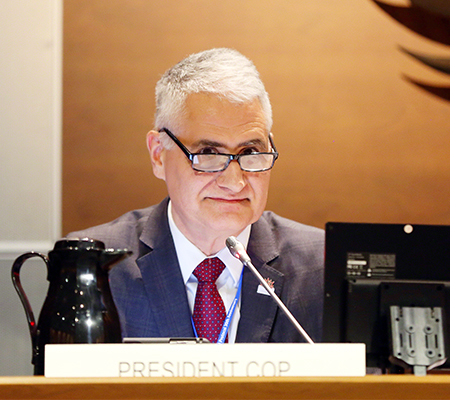 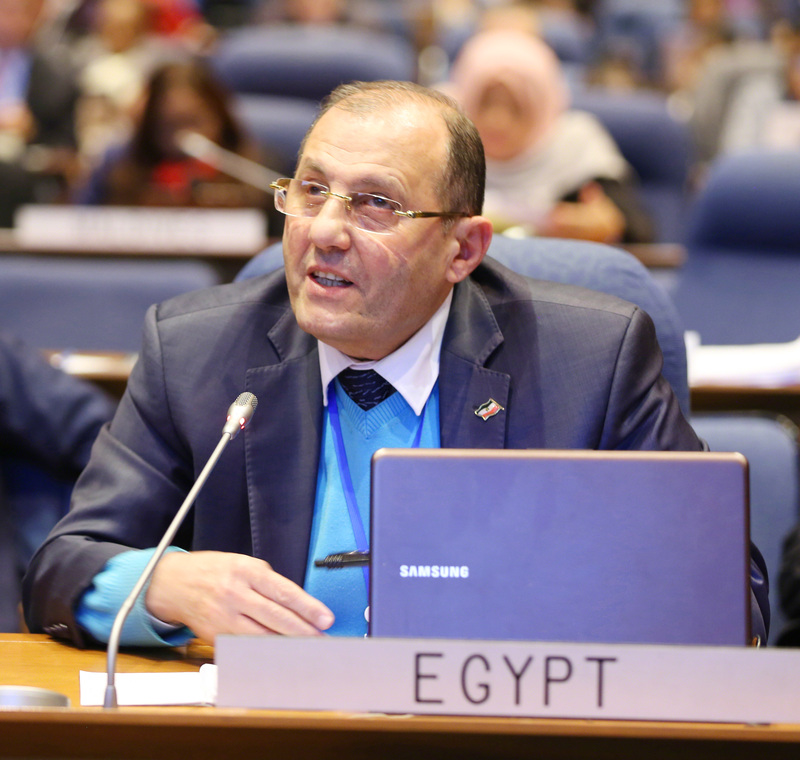 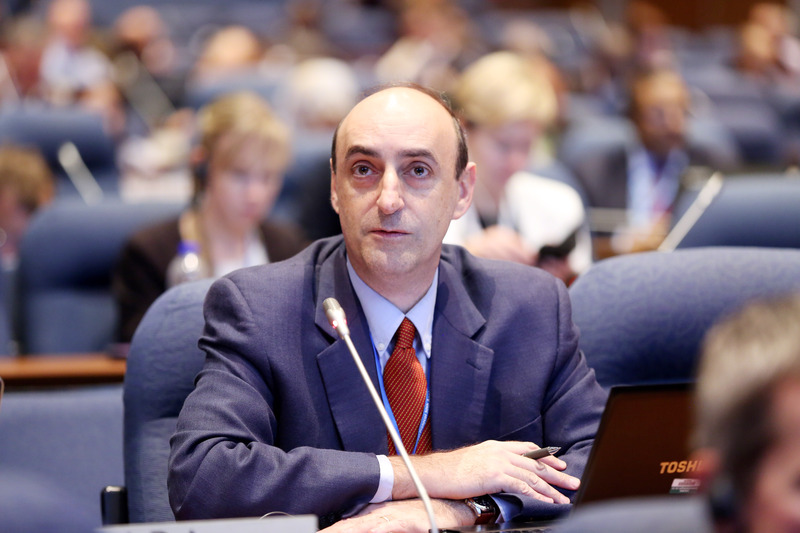 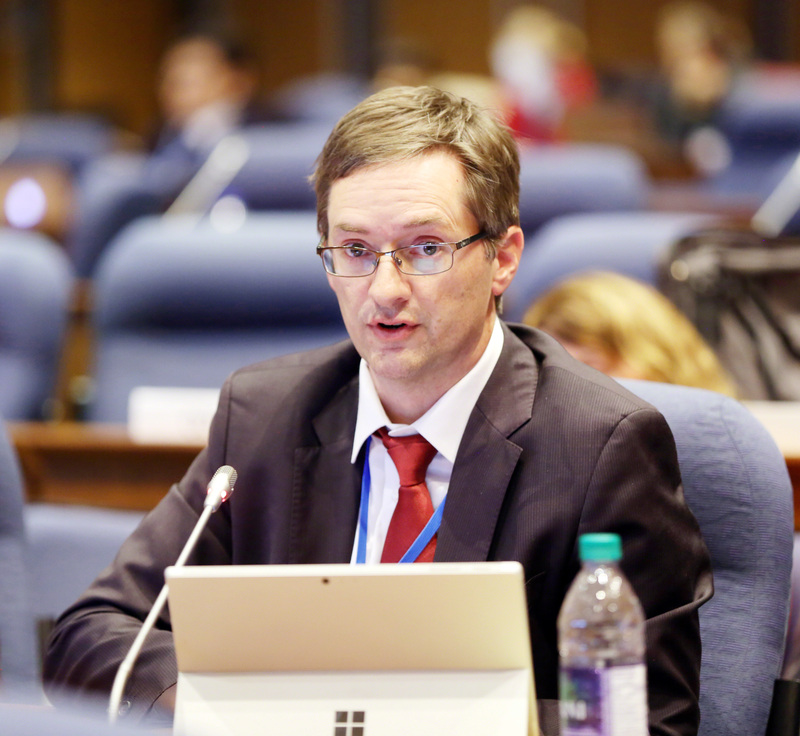 The Preparatory Segment of the twenty-ninth Meeting of the Parties to the Montreal Protocol (MOP 29) and the eleventh meeting of the Conference of the Parties to the Vienna Convention (COP 11) opened on Monday, 20 November 2017, in Montreal, Canada. 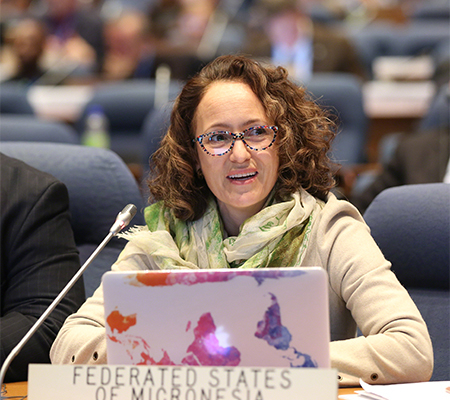 In the morning, delegates heard opening statements from dignitaries and discussed, inter alia: organizational matters; financial reports and budgets of the trust funds; and the replenishment of the Multilateral Fund (MLF) for 2018-2020. 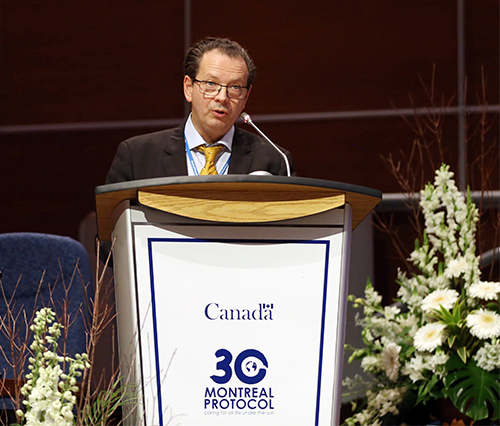 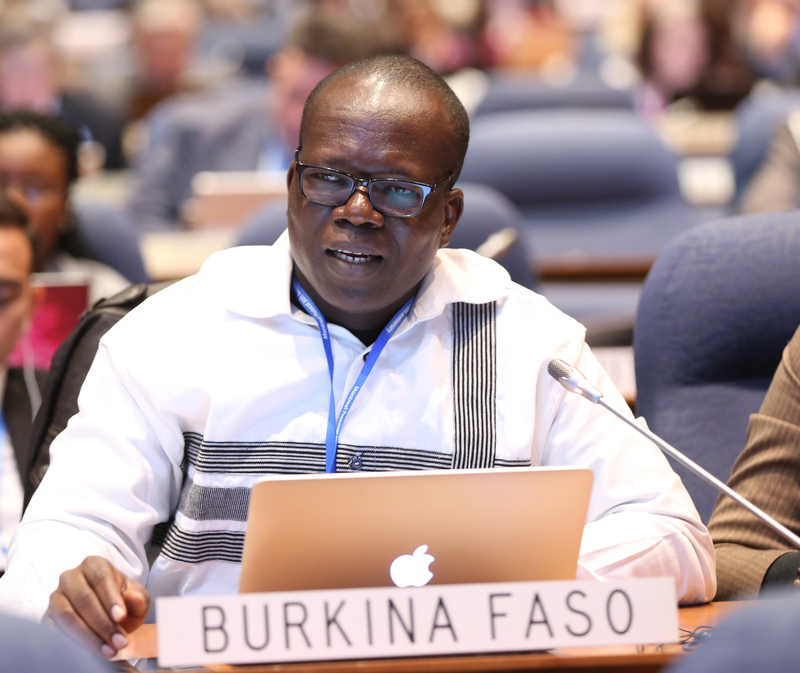 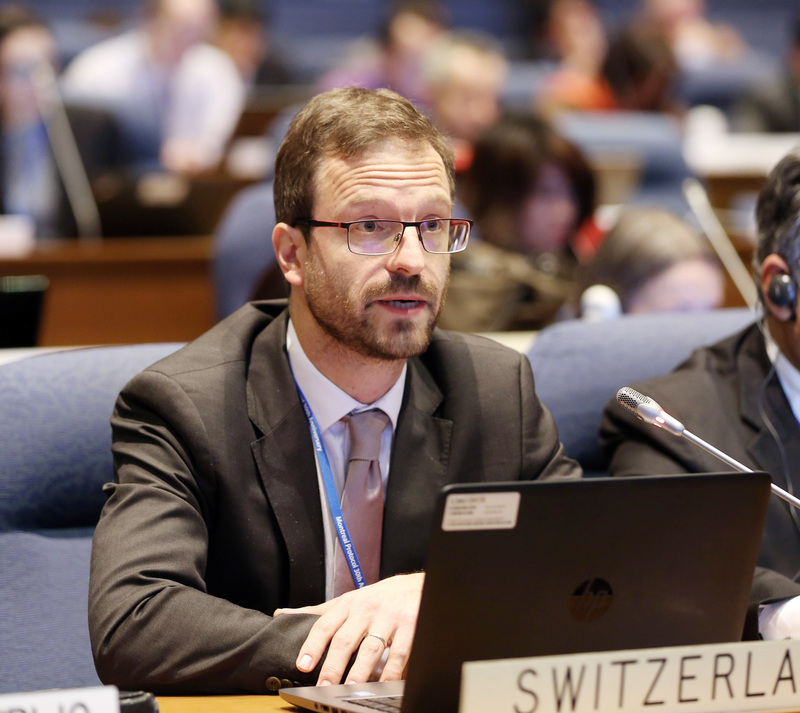 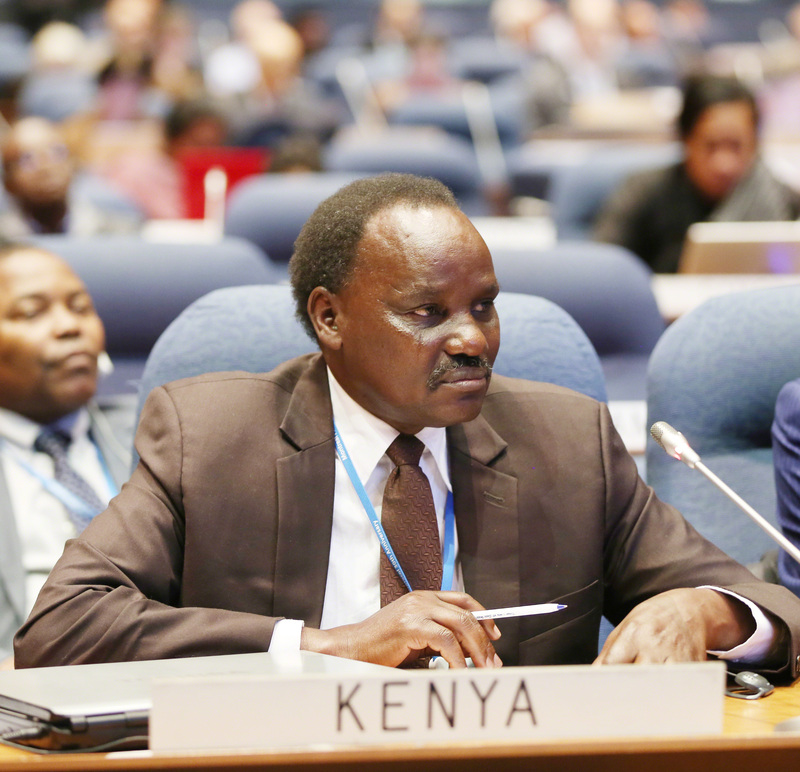 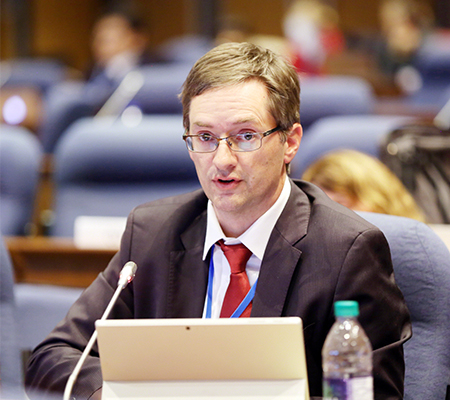 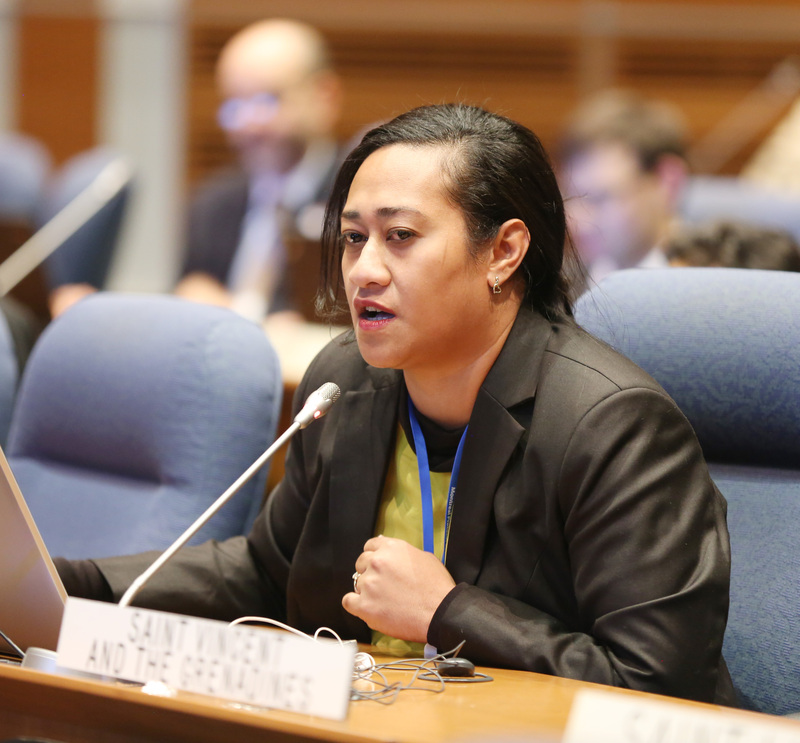 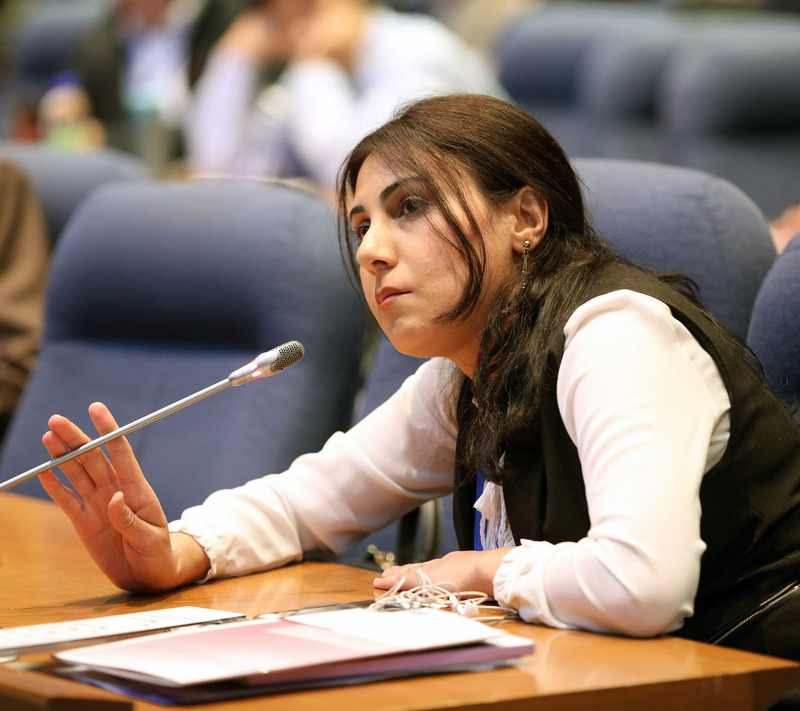 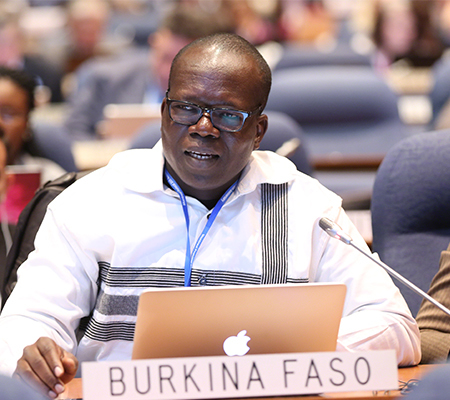 In the afternoon, delegates addressed matters related to the Kigali Amendment to the Montreal Protocol, including the status of ratification and data reporting. 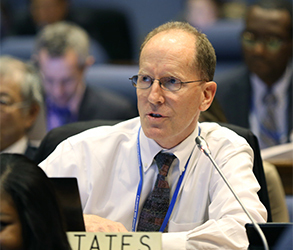 They also considered: nominations for essential-use exemptions (EUEs) for 2018, and critical-use exemptions (CUEs) for 2018-2019; use of controlled substances as process agents; key messages from the Technology and Economic Assessment Panel (TEAP) 2017 report; HCFCs phase-out; and energy efficiency. 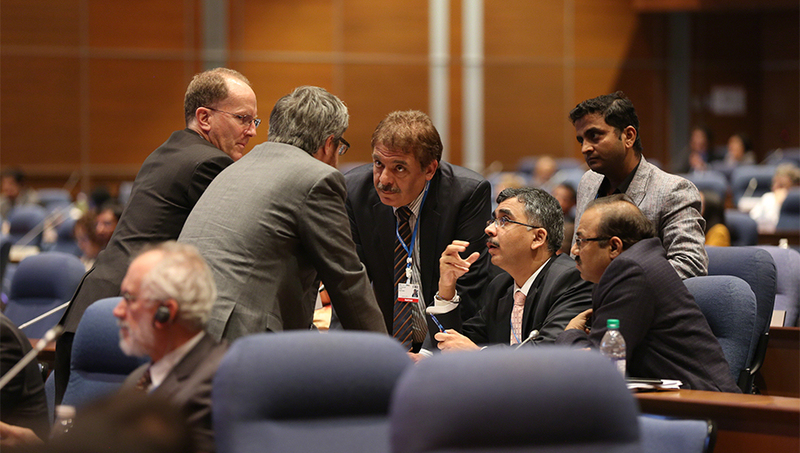 The Budget Committee and the MLF replenishment contact group were established and held initial meetings. Prime Minister of Canada, being welcomed by elders of the Mohawk Nation. 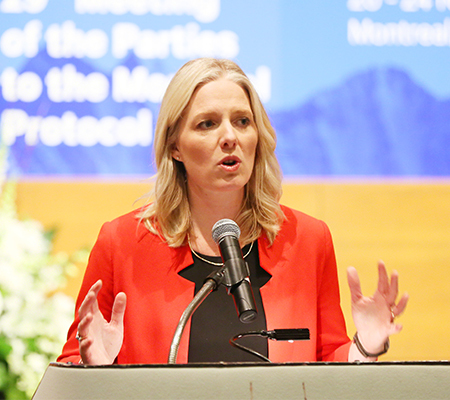 IISD Reporting Services is grateful to the many donors of the Earth Negotiations Bulletin (ENB) and recognizes the following as core contributors to the ENB: the EU and the Kingdom of Saudi Arabia. 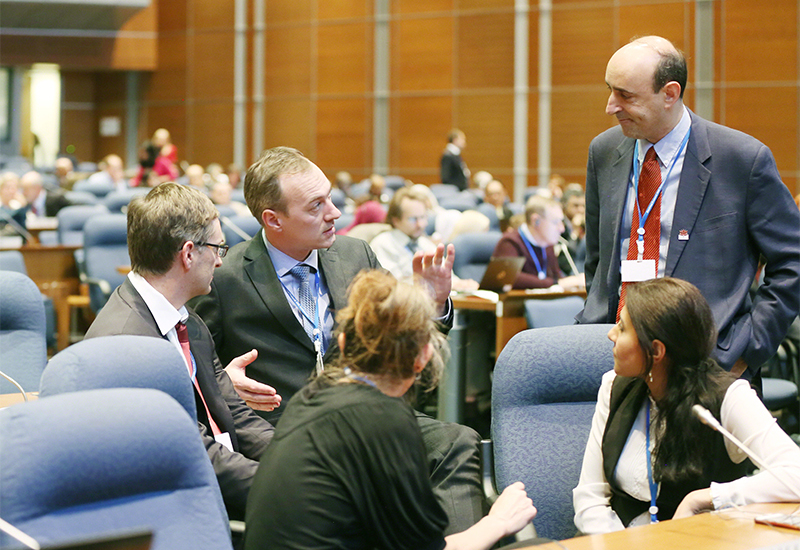 General Support for the Bulletin during 2017 is provided by the German Federal Ministry for the Environment, Nature Conservation, Building and Nuclear Safety (BMUB), Italian Ministry for the Environment, Land and Sea, Japanese Ministry of Environment (through the Institute for Global Environmental Strategies - IGES), New Zealand Ministry of Foreign Affairs and Trade, Swedish Ministry of Foreign Affairs, Government of Switzerland (Swiss Federal Office for the Environment (FOEN)), and SWAN International. Funding for translation of the Bulletin into French has been provided by the Government of France, Québec, and the International Organization of La Francophonie/Institute for Sustainable Development of La Francophonie (IOF/IFDD).